If you're a content marketer, chances are you have the same obsession with new, fancy content marketing tools that I do. I find myself spending lots of time looking for the next big thing - the content marketing tool that will help propel me to content marketing stardom. Though that's still a long way off, I've curated the best tools I've come across during my hunt and created a list of 77 Tremendous Tools to Make You a Content Marketing Superstar. 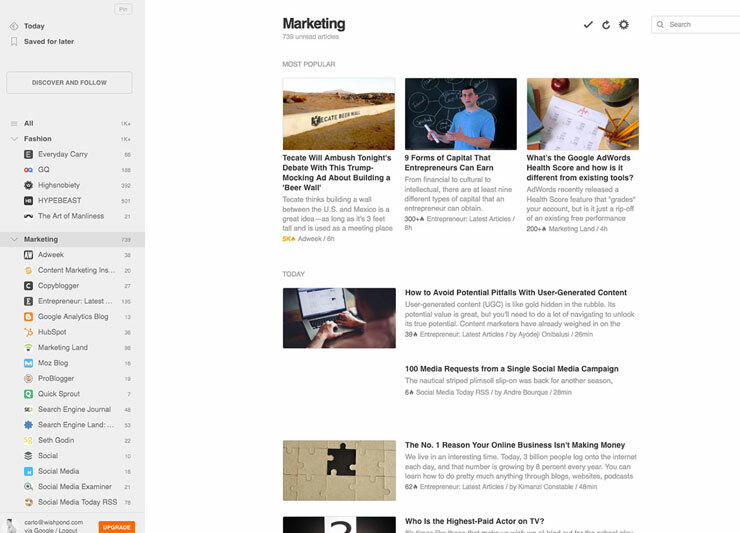 Feedly is the news aggregator for most of the content team here at Wishpond. Clean, simple, and intuitive, Feedly syncs your favourite news sources across your browser and mobile devices and suggests other feeds you might find interesting. Feedly’s “heat score” shows you what’s currently trending - a must for any content marketer. A publishing platform of its own, Medium is my personal choice for finding articles a little more interesting than the norm. 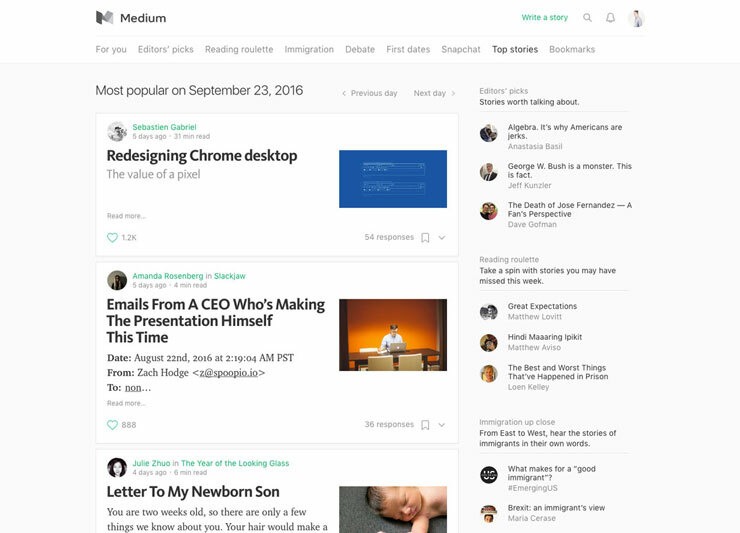 With an emphasis on personal stories, Medium is the perfect break from content marketing’s crop of listicles and how-to guides. Moz’s flagship product is an analytics tool with a focus on SEO optimization, backlink research, and rank tracking. 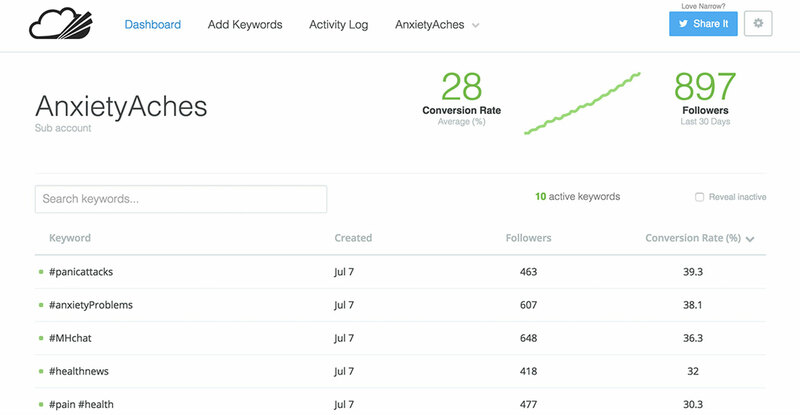 However, Moz also features [free tools](https://moz.com/tools) including a keyword explorer that will help you identify opportunities to improve your SEO rankings. 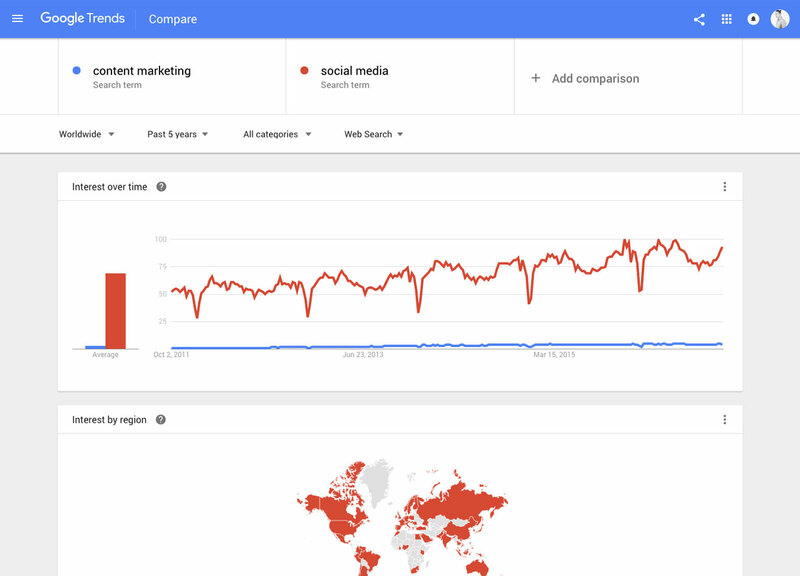 Google Trends is about as simple as it gets when it comes to trend-spotting tools. It presents users with trending stories that can be filtered by categories and regions, and makes it easy to search for and compare specific topics or keywords. 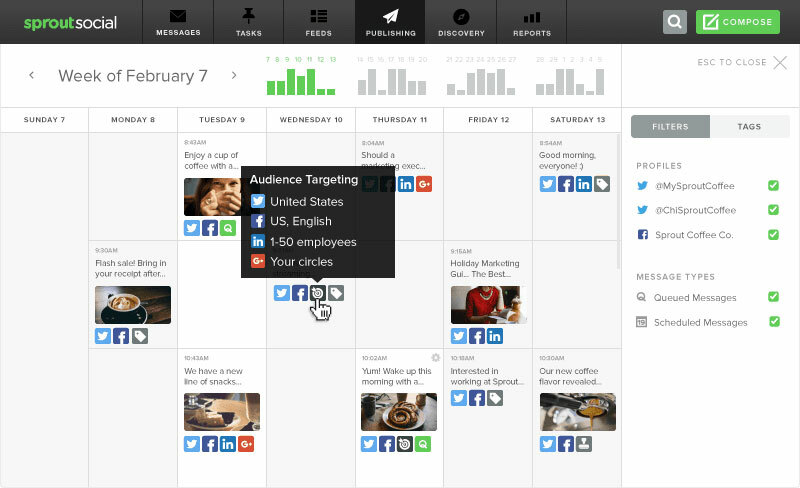 Synthesio is a social listening platform that helps you understand your customers. 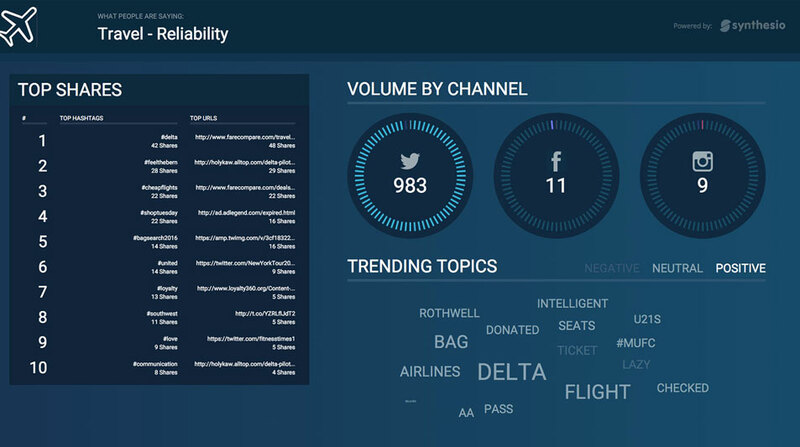 The platform tracks conversations on social and mainstream media in real-time, and turns the data into insights on your industry and customers. It monitors your mentions and allows you to track social KPIs and measure which social activities are producing revenue. My writing app of choice (I’m using it write now), Ulysses is a simple, light writing app that minimizes distraction and maximizes productivity. Markdown support means it’s easy to format documents within Ulysses to be exported to your publishing platform of choice. Hemingway specializes in analyzing your writing for readability - a must when trying to appeal to as many people as possible with your content. It highlights difficult-to-read sentences, words with simpler alternatives, and instances of passive voice, among other things. 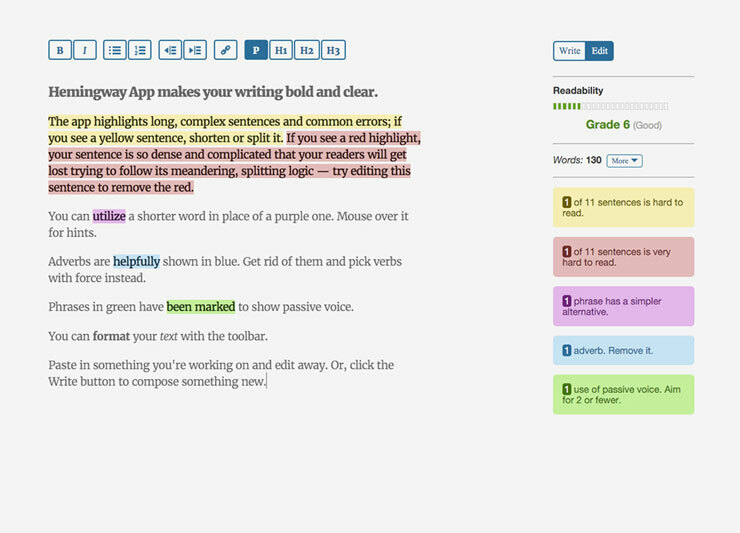 It also presents a readability level (e.g. Grade 6), which is invaluable when trying to keep it simple. My last line of writing defence before I hit the “publish” button, Grammarly is both a web app and an extension that monitors anything I write in my browser for grammar and spelling. It tends to catch things even the most scrutinizing of editors might not - definitely a worthy addition to your content marketing utility belt. Don’t act surprised - you knew this was coming! 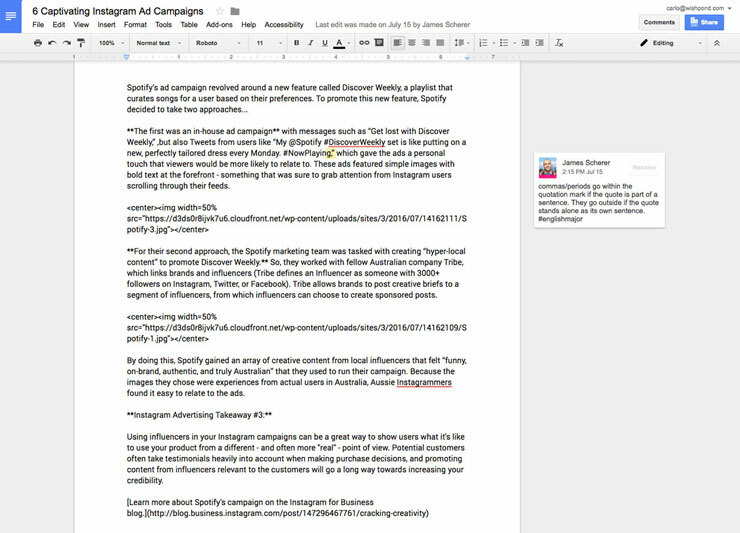 The number one editor for content marketers everywhere (okay, I don’t have statistics, but… come on), Google Docs shines brightest in its collaborative options, allowing live editing by multiple users with comprehensive annotation tools. Google Docs also saves each revision of a document, meaning even the most destructive of editors can’t ruin your latest masterpiece. 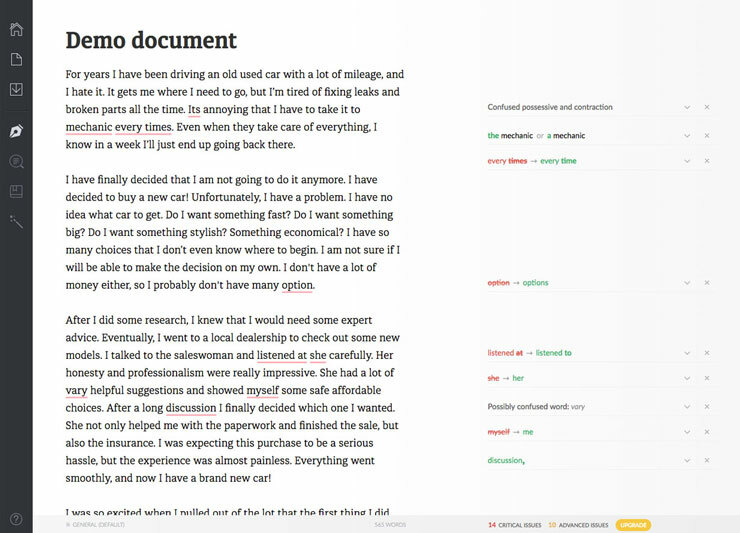 The perfect companion to Google Docs, Postable allows users to write, draft, and collaborate in Google Docs as usual and then export their documents to WordPress with a single click. This is a gamechanger - say goodbye to hours wasted reformatting posts and reuploading images for WordPress. 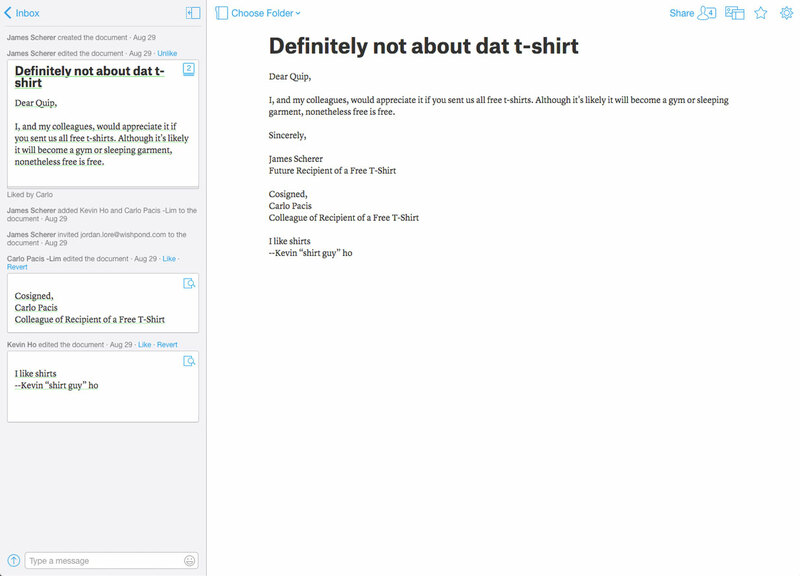 At first glance, Quip looks like a Google Docs clone. But it’s more than a collaborative editing platform. Bret Taylor, Quip’s founder, says “Quip is as much about communication as it is about documents” - the platform also features team task lists, applicant tracking systems, and brainstorming whiteboards. LinkedIn’s Slideshare is a slide hosting service where users can upload slides (in multiple formats) that others can see on the site itself, on mobile devices, or embedded on other sites. SlideShare is a great place to syndicate your content - SlideShare featured one of our presentations on the front page, and it reached a whole new group of users who may not otherwise have heard of Wishpond. 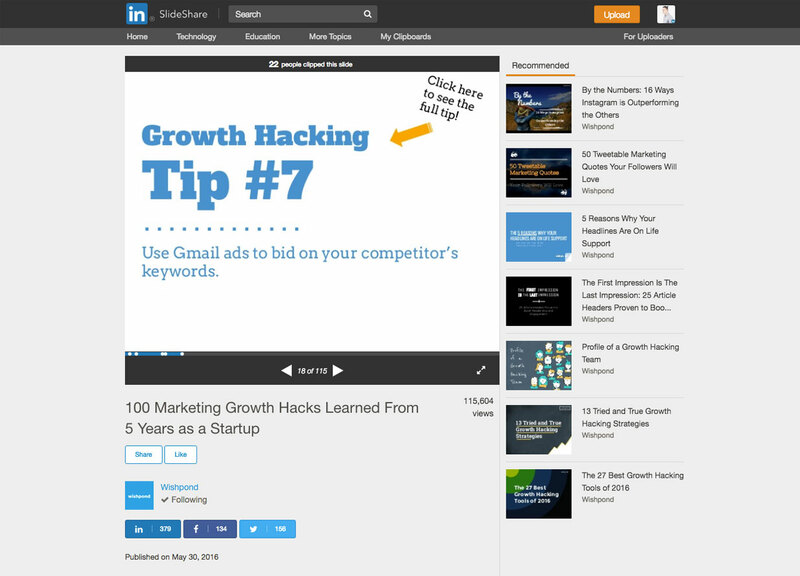 SlideShare is one of the best places to rehash existing content. 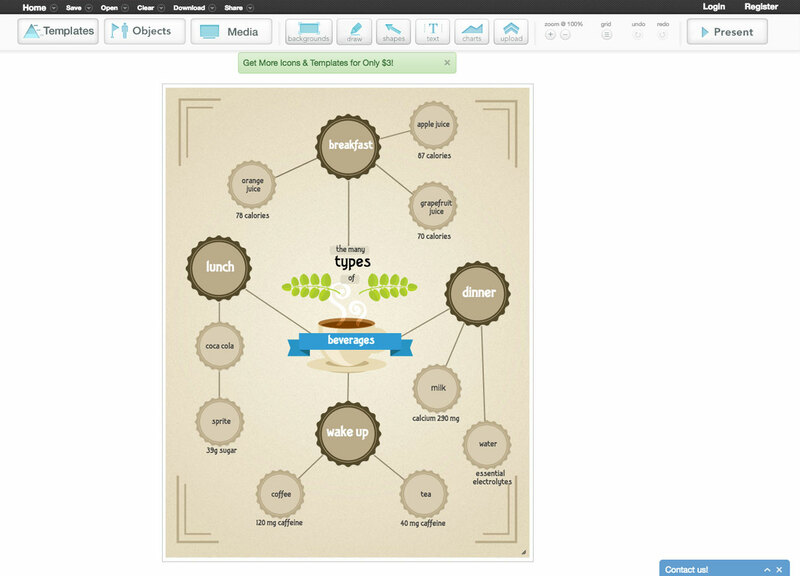 As a business student, I’ve known Prezi as PowerPoint’s cool, hipster younger brother. Though it may take a bit of time to learn, Prezi is robust and much more dynamic in its presentation style. It’s the perfect companion to some light narration or your next blog post. InDesign is what our designers here at Wishpond use to create our many eBooks; it’s perfect for creating digital magazines, and any other content upgrades you can dream of. InDesign also supports XML, style sheets, and other coding markup. 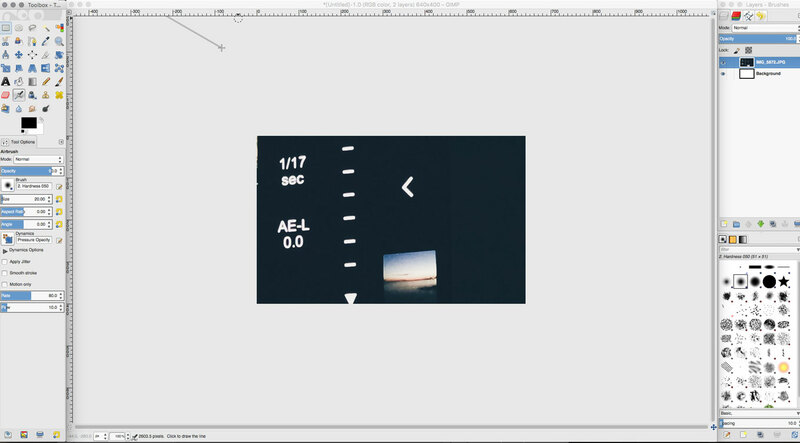 Simply put, InDesign is the gold standard of desktop publishing apps. Even the most experienced podcasters need to outline their shows. 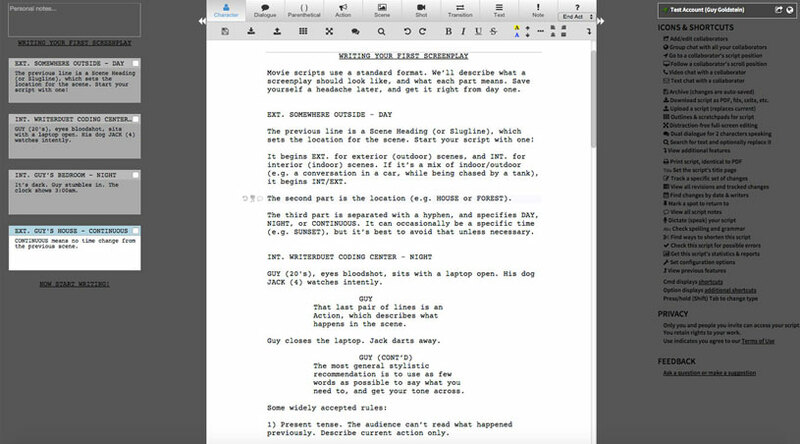 WriterDuet is the Google Docs of screenwriting, allowing real-time collaboration, and seamless online and offline writing. With the ever-increasing number of podcasts with co-hosts separated by large distances, WriterDuet is more useful than ever. 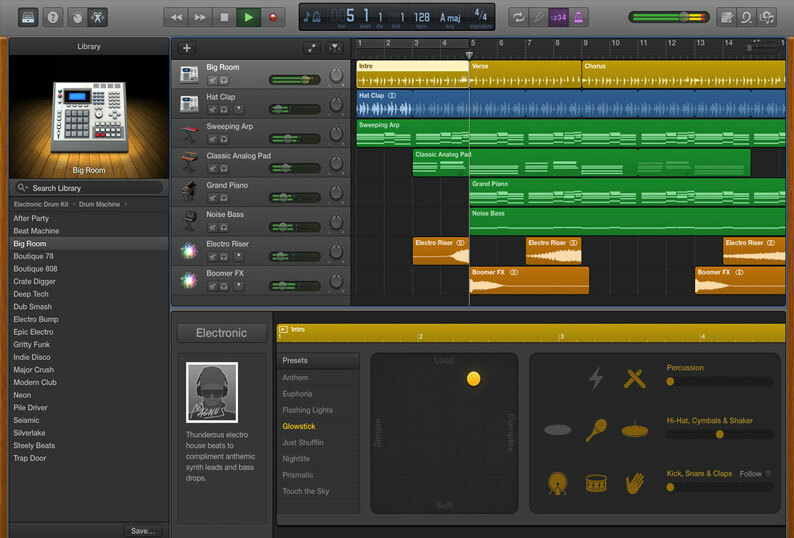 As a musician, GarageBand has been a good companion of mine since I started playing around with it in 2008. For an app that’s included for free with all MacBooks, GarageBand is a surprisingly fully-featured piece of recording software. Its powerful yet intuitive interface, combined with its extensive selection of free loops, makes it the perfect platform for Mac users to record the next hit podcast. 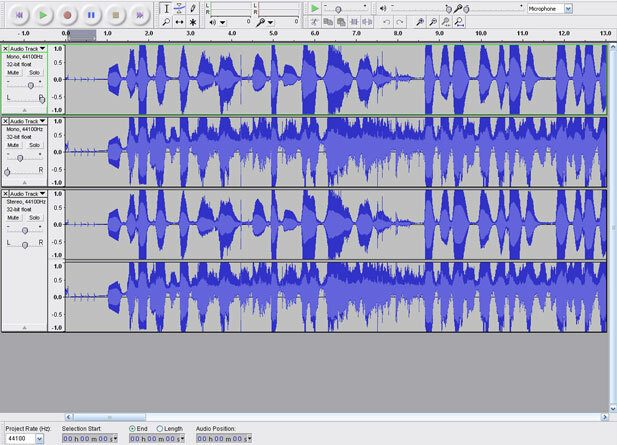 Audacity was the first-ever piece of recording software I touched, back in 2006. It was the platform for all of my first recordings, and it continues to be the leading free audio workstation for Windows users. Though it can be rather limited in some of its capabilities, it’s incredibly simple to use and has everything a beginner podcaster needs. 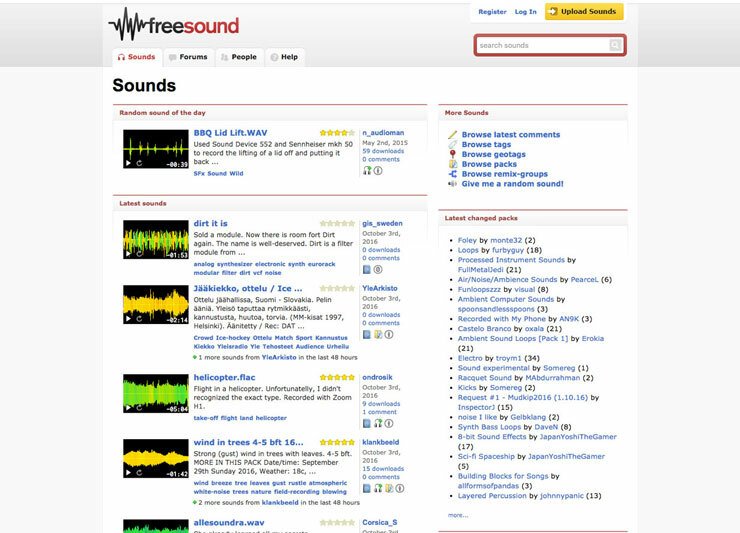 No podcast is complete with sound effects, and FreeSound is the best place to get them. The site features thousands (maybe millions) of sound clips, from kick drums to laser beams - if you’re looking for any sound effect, you’ll find it here. Every podcast needs music, and FreeMusicArchive is one of the best places to get it. 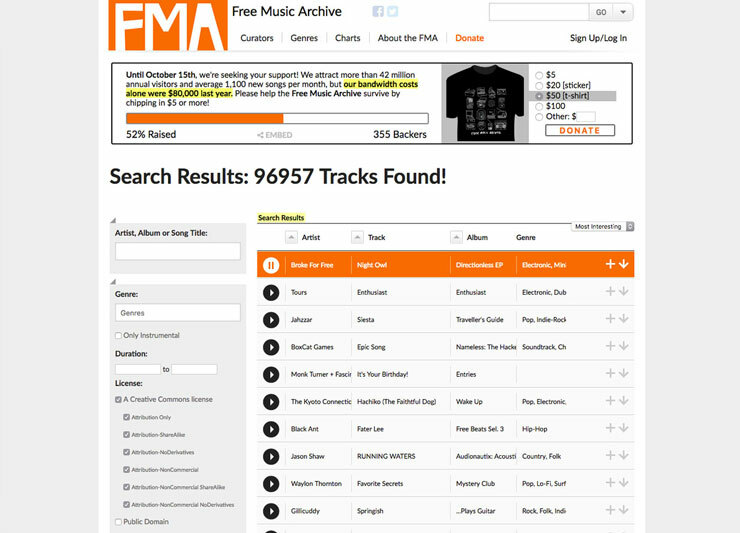 FMA allows users to search for music by genre and license, making it easy to find the perfect theme song or background music for your podcast. 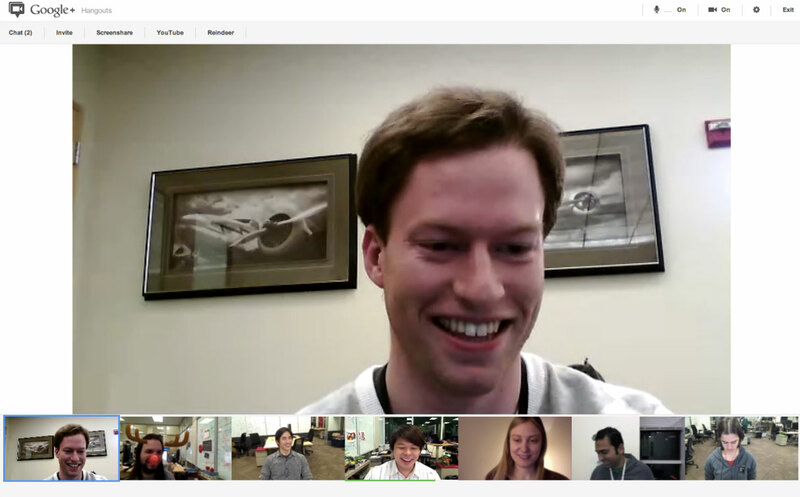 A robust alternative to the often-buggy Skype, Google Hangouts is an awesome option for podcasters looking to record live with video. Though it’s not optimal to record straight a podcast from a video chat, it’s a great way to host special segments like interviews. SoundCloud is, without a doubt, one the best places to host your podcast. Its simple interface makes it easy to upload new episodes, and your SoundCloud RSS feed can be used to submit your podcast to places like iTunes, Stitcher and TuneIn for people to hear. 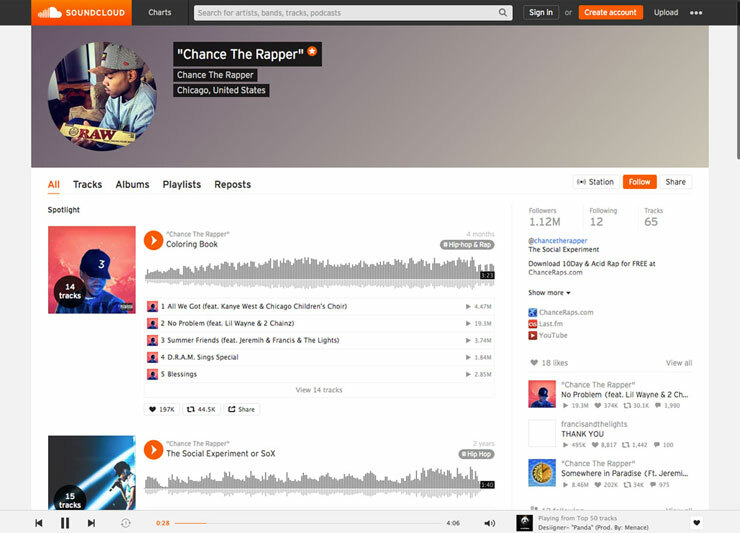 SoundCloud also allows embedding on a ton of websites, including Facebook and Twitter. Easel.ly is a web-based tool that allows users to design powerful visual media like infographics and posters. 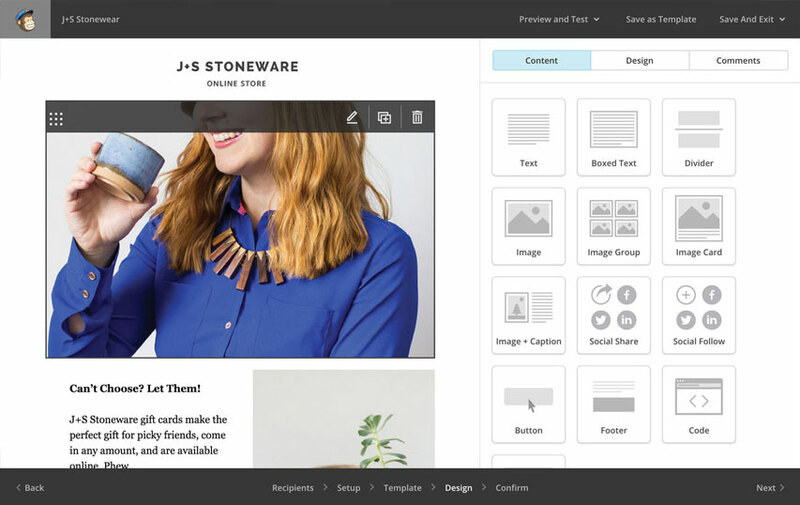 The site’s intuitive drag-and-drop editor, along with its hundreds of templates, makes it a great choice for content marketers who might not have the Photoshop know-how. 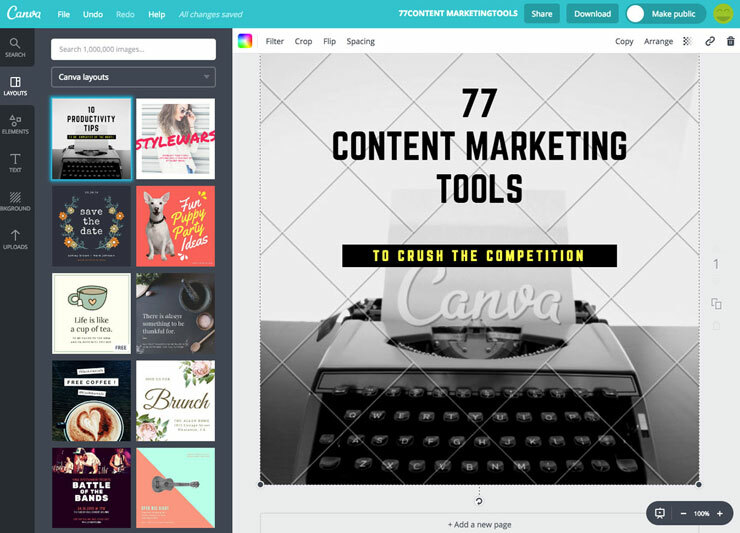 Canva is another web-based graphic design tool that focuses on clean typography. 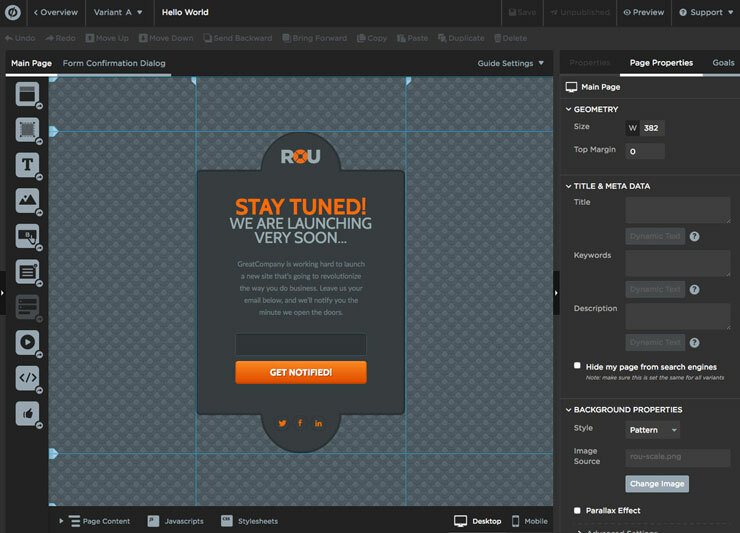 Though it may have fewer templates than Easel.ly, the templates it does have follow more modern graphic design trends. Canva is the clear choice for images you’re planning to post on social media. 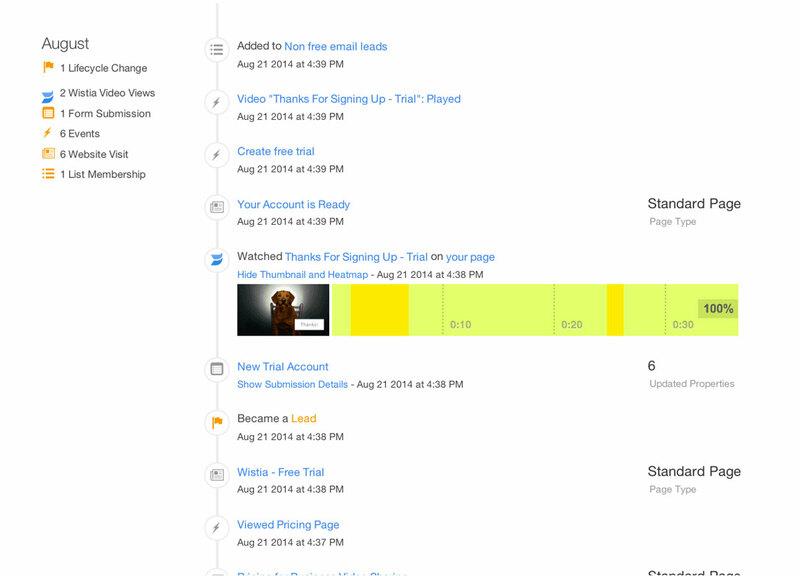 Think of Wistia as YouTube on steroids. Wistia takes video hosting to the next level, helping marketers generate, nurture and convert leads with videos. In addition to its extensive video analytics, Wistia allows marketers to do things like place data collection forms or CTAs on videos. 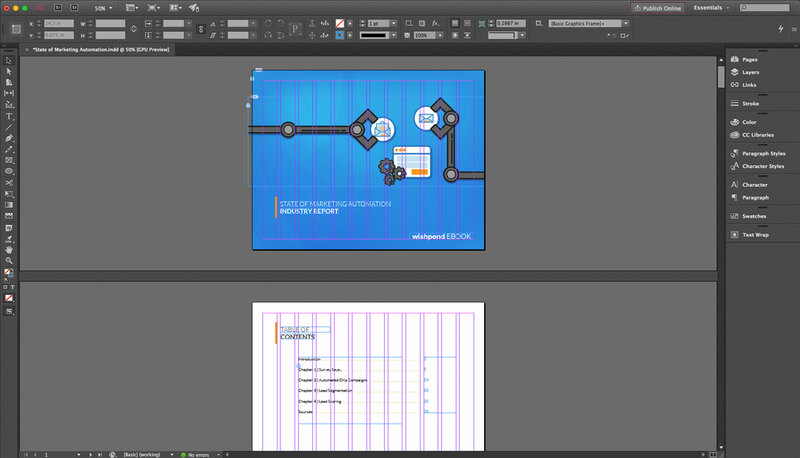 Though Photoshop 6.0 was my first exposure to visual editing tools, GIMP was where I learned much of what I know now. It’s a free and open-source alternative to Adobe’s golden child, with many of the same capabilities. GIMP is the perfect tool for marketers not wanting to shell out hundreds for its more expensive alternative. 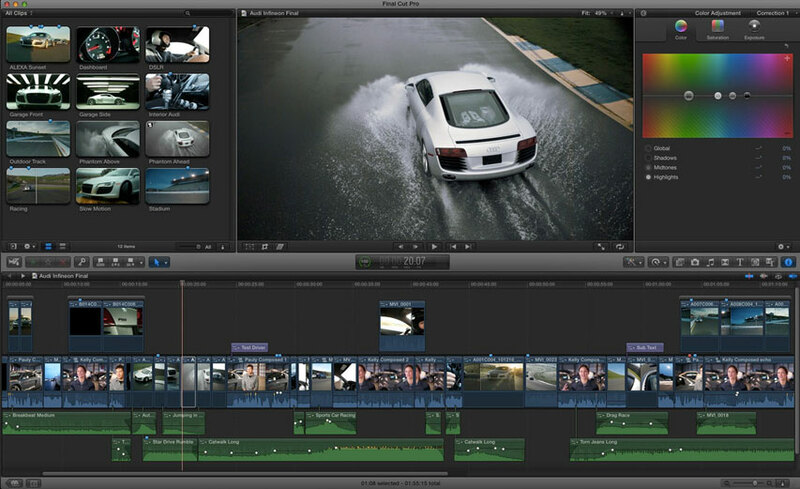 FCP is iMovie’s big brother - it looks and behaves largely the same, boasting some additional features its younger sibling doesn’t have. It supports keyframing, multiple sequences, 4K HD, and is generally a better choice for filmmakers looking to have a little more control over their video production. 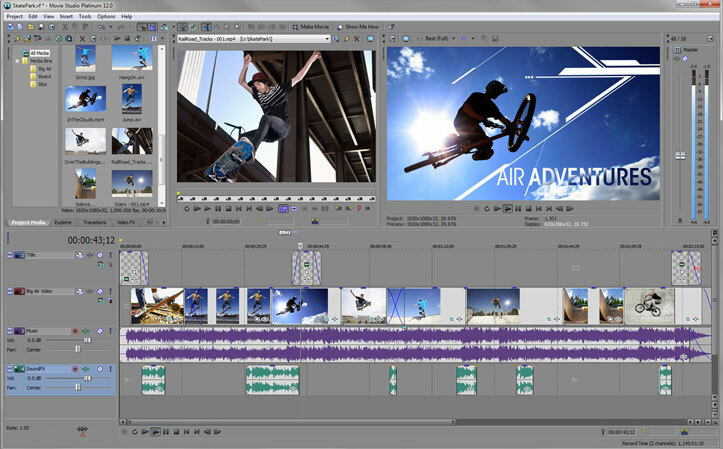 Recently sold by SONY to MAGICX, VEGAS is the weapon of choice for video producers working on Windows. 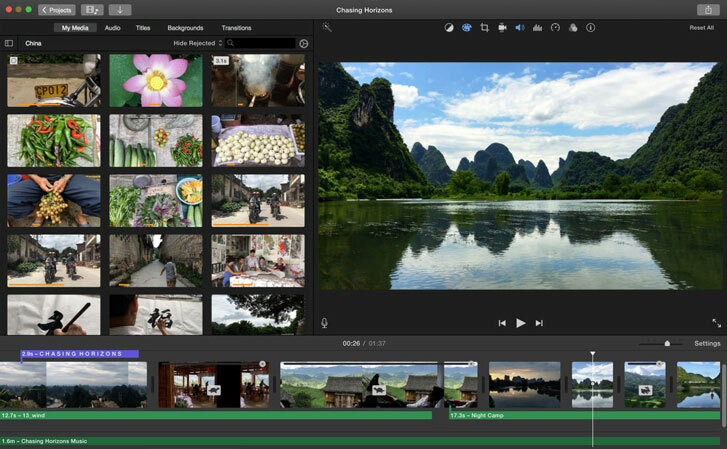 It’s the Windows-compatible equivalent of Final Cut Pro, with an extensive number of features and effects that make it a very powerful video editor. Qzzr is a simple online tool that allows users to create, embed, and share quizzes with the goal of driving traffic and generating leads. 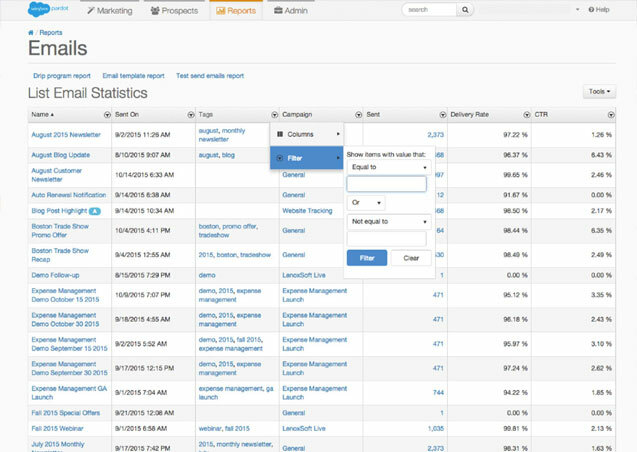 One of Qzzr’s strengths is its ability to export leads to email marketing, marketing automation, and CRM tools. Qzzr is the clear choice for marketers looking to drive conversions. Besides being the best place to find cute pictures of cat and mouth-watering videos of food (thanks, Tasty), BuzzFeed offers a pretty robust - and free - quiz tool. Though it’s a great tool, it’s not business-centric like Qzzr, nor does it allow for hosting or embedding on other sites. 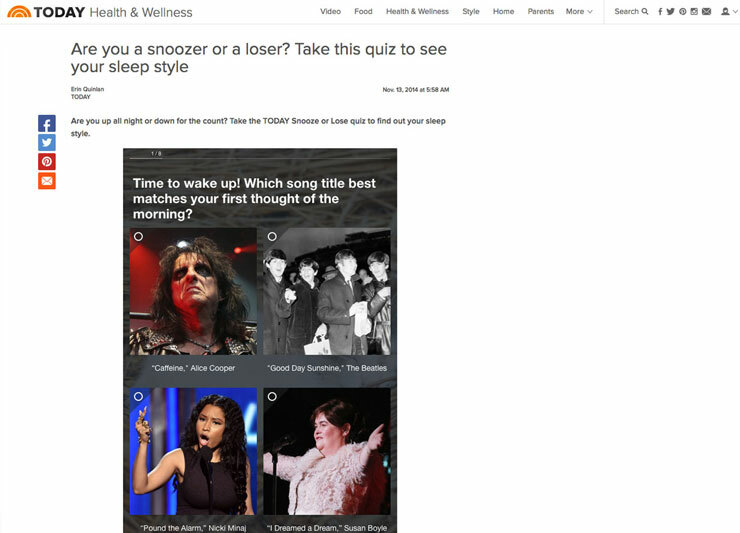 Use BuzzFeed for quizzes you think will resonate with BuzzFeed’s young, largely-female demographic. We’re doing a lot of buzzing here, apparently. 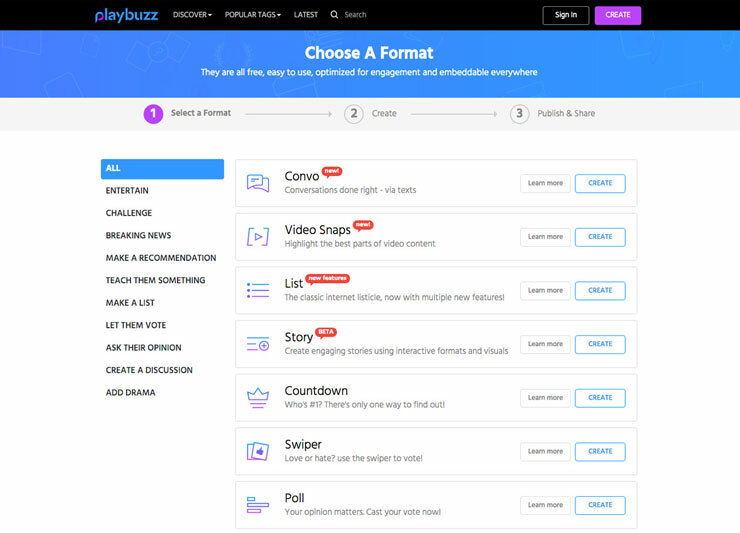 Quiz creation is just one of Playbuzz’s many features - it allows users to create “Buzzes”, which are types of media including video clips, polls, personality quizzes, flip cards, trivia, and more. Though Playbuzz is a powerful tool with tons of options, it also doesn’t feature the lead-centric model Qzzr does. 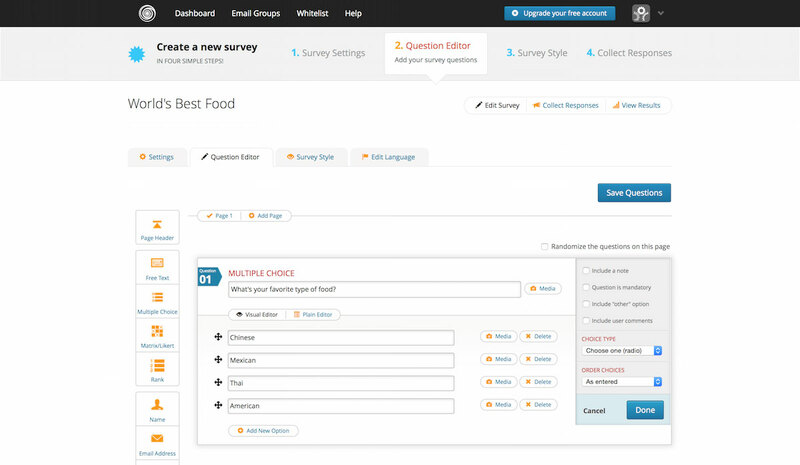 Polldaddy is one heckuva survey platform, featuring a straightforward survey editor, the ability to export data, and CSS styling. Polldaddy also features polls and quizzes as well as a mobile app so responses can be collected from users on the go. 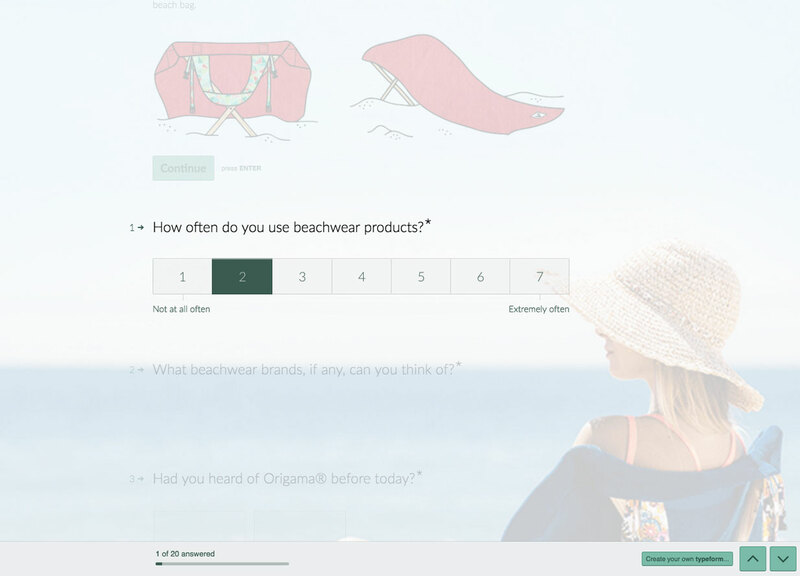 The most beautiful surveys I’ve seen to date have all come from Typeform. Though it runs on a freemium model, Typeform’s BASIC plan already allows users to build gorgeous, mobile-responsive forms with email notifications, Zapier integration, encryption, data export, and API access. Paid version include logic jump (think if/then statements), respondent notifications, thank you screens, hidden fields, and team collaboration. Awesome. Over 60 million people attended a GoToWebinar event last year - and Bree, our webinar guru here at Wishpond, has hosted countless webinars on the platform. Beyond its simple, straightforward platform, GoToWebinar features email automation, audience interaction (including polls and handouts), and mobile support. GoToWebinar really is the go-to webinar solution. 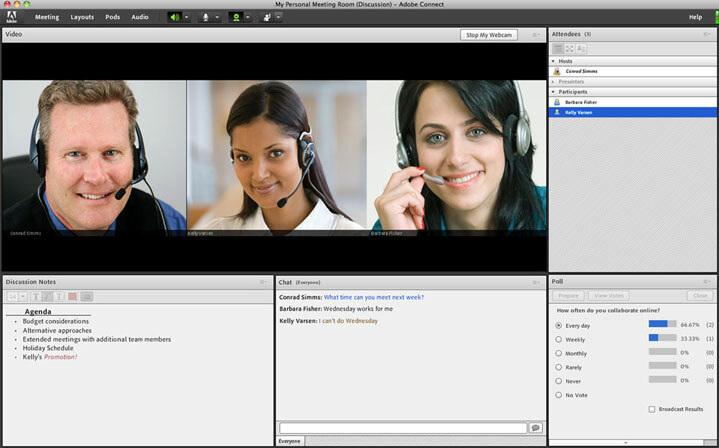 Adobe Connect is a platform built for situations of any size, from team meetings to virtual classrooms and large-scale webinars. In addition to its solid broadcasting platform, Adobe Connect provides a simple way for viewers to register through a calendar view and customizable registration forms. 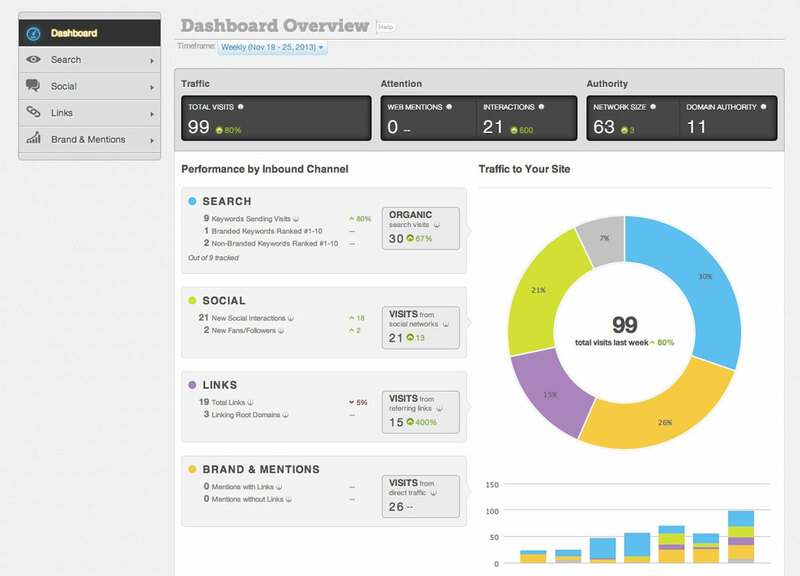 The platform also features easy-to-use analytics and engagement monitoring tools. 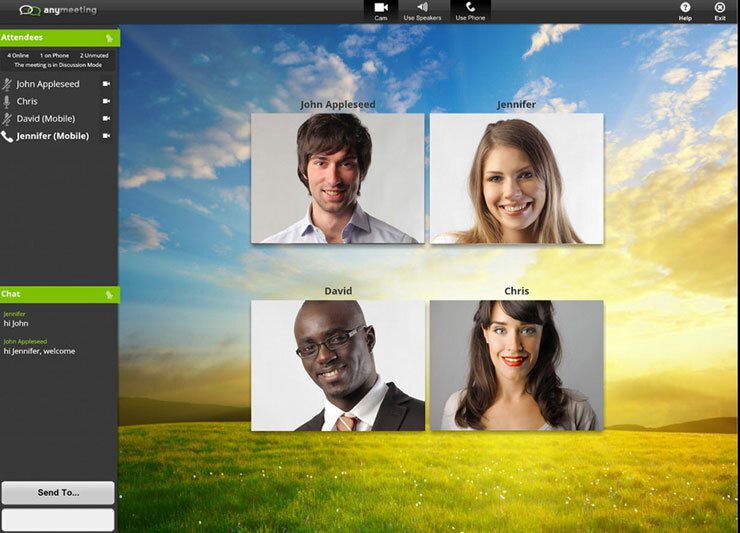 AnyMeeting is a great alternative to other two alternative - it shines largely in its integrations with other business apps (including email marketing, CRM, and marketing automation platforms) as well as social media sites like Facebook and Twitter. Sometimes, all you really need is a good cat GIF. 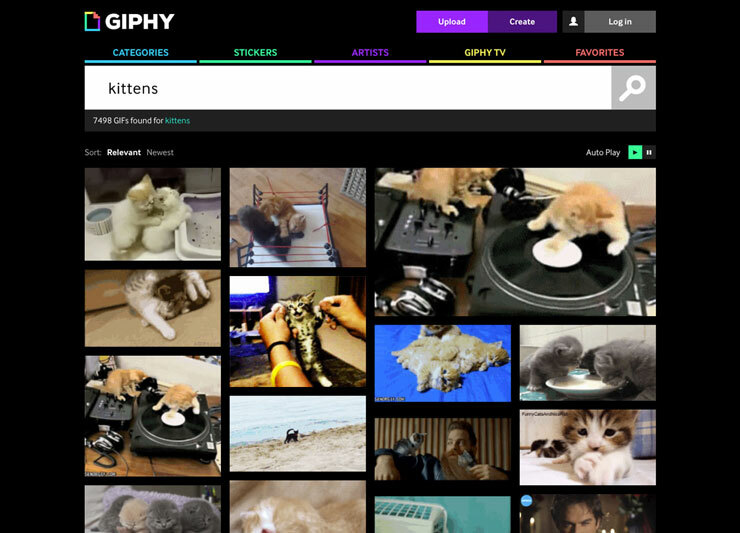 GIPHY, an online GIF database, has risen in prominence to become the most popular collection of GIFs on the Internet. GIPHY’s integration with Twitter has made it easier than ever for brands to interact using a plethora of GIFs. Where a GIF might not suffice, a meme might. quickmeme makes it easy to caption memes and export them for your own use. Like its name suggests, Pocket helps you keep links until you need them in the future. Offering a mobile app and browser extension, saving links is just one click away with Pocket. These links are stored in a clean, intuitive interface where you can tag and search through them. I’ll be honest - I’m a pretty disorganized guy. But when it comes to keeping track of things, I use Google Calendar. 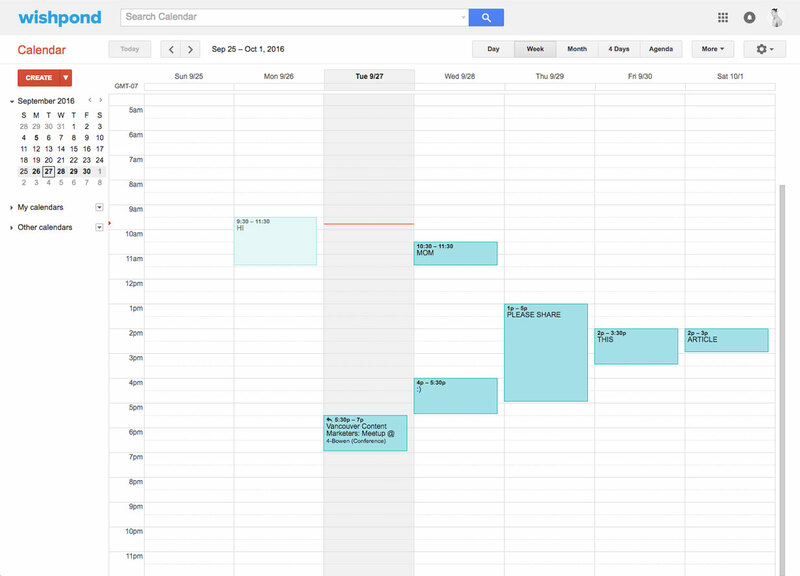 As a content marketer, you likely keep a tight schedule for your publishing - Google Calendar is the ideal platform to plan content launches and meetings. 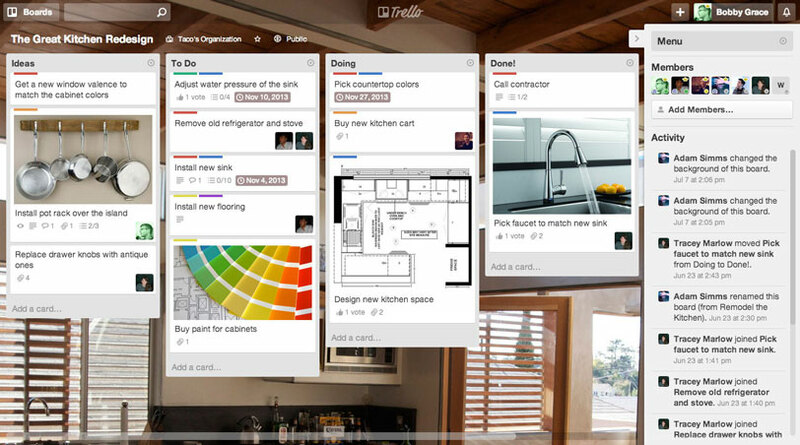 Trello’s like a digital desk - they call it “the most visual way for teams to collaborate on any project”. Teams can create boards with lists and tasks, which help to guide a team through a project efficiently and effectively. Trello syncs across mobile devices and features integrations with services like IFTTT and Zapier. 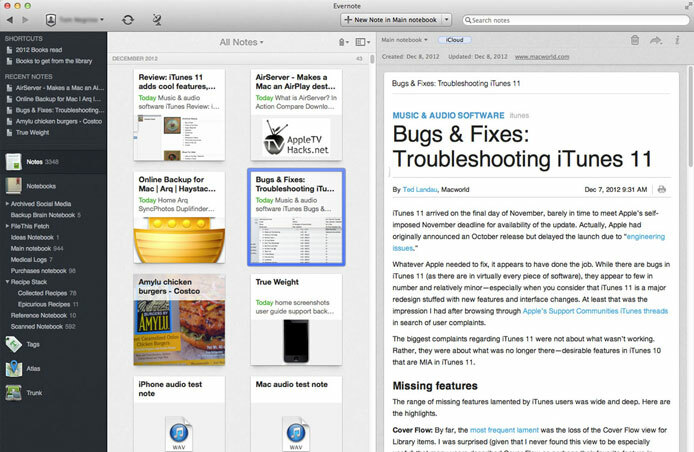 Tons of people swear by Evernote - with good reason. Evernote is arguably the best way to quickly capture ideas, whether they’re notes, to-do lists, reminders, or even pictures. Because Evernote has apps for mobile, desktop, and web, your notes are instantly available on all of your devices. Dropbox, Box, OneDrive, iCloud… when the fighting has ended and the dust has settled, Google Drive remains atop the growing pile of cloud storage services. 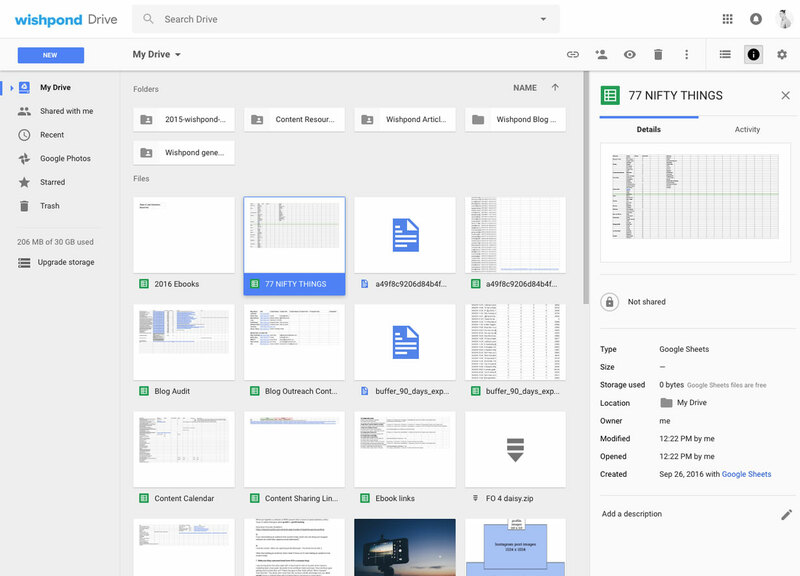 Google Drive’s slick UI, nearly limitless capabilities, and integration with Google’s other services - Docs, Sheets, and more - make it the undeniable #1 choice for cloud storage. There’s not much to say here. WordPress has been, and continues to be, the most popular content management system on the entire Internet - According to Wikipedia, WordPress was used by more than 25% of the top 10 million websites as of April 2016. With a simple, easy to navigate backend and an extensive library of themes and plugins, WordPress is an easy choice if you’re looking for a reliable CMS. 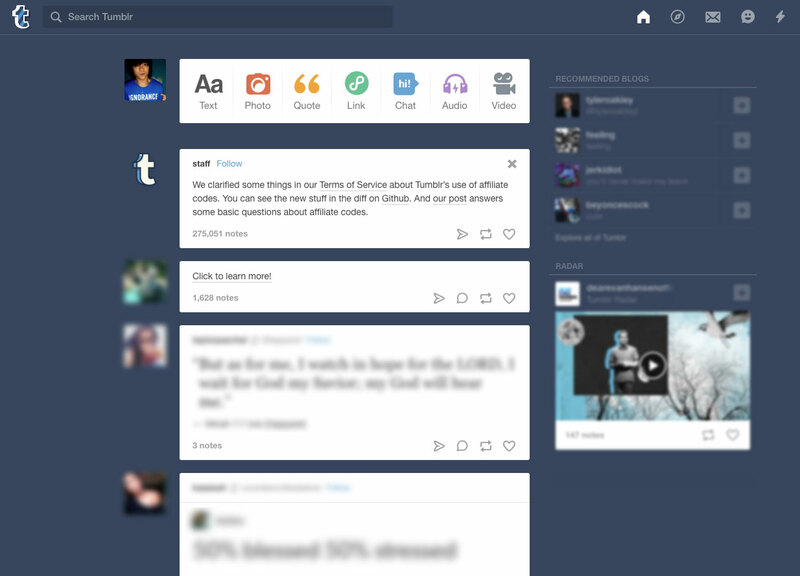 Though I’m not the biggest Tumblr fan, there’s no denying it’s still a relatively powerful blogging platform. Tumblr makes blogging incredibly simple - it’s easy to post multiple types of content, and it features a post queue and tags so posts can be scheduled and organized. Due to Tumblr’s social nature, it’s best for businesses looking to post casual, shareable content. Ghost is a free and open source blogging platform, and it’s our platform of choice here on the Wishpond blog. 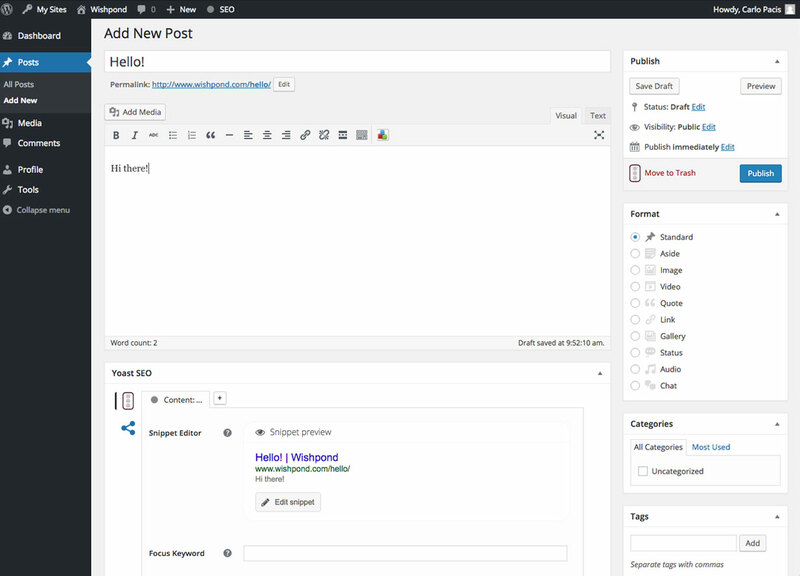 Ghost is all about content - it has the simplest backend of any blogging platform I’ve used, with a great two-column Markdown editor featuring a preview so you can see how your content will look as you write. 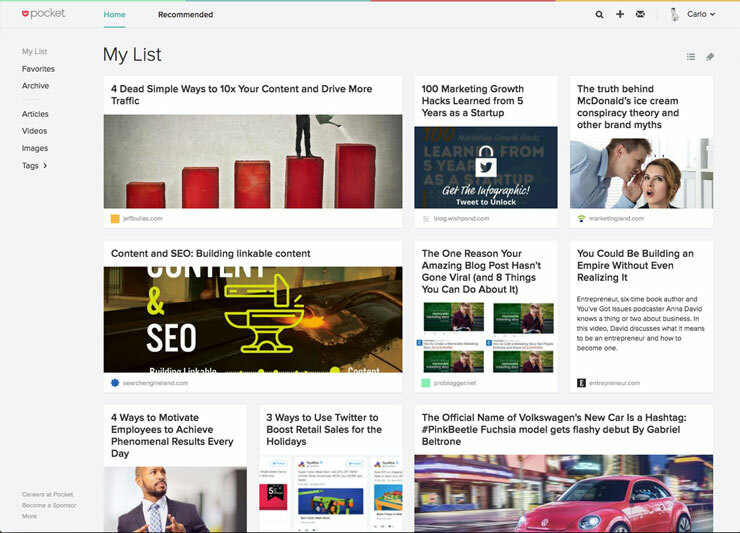 Uberflip, with their mission of “putting the marketer at the helm”, is an inventive take on content management. 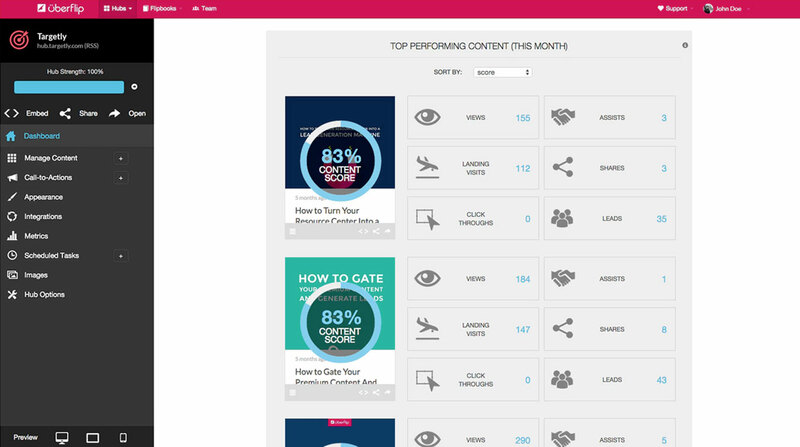 It aggregates existing content - articles, videos, social media posts, and more - into a single hub. This results in a front-end experience that is easy to customize, with features like CTAs, marketing automation integrations, and comprehensive insights. You didn’t think I’d write this article without a shameless plug, did you? Okay, but in all seriousness, Wishpond’s landing page editor is among the best. 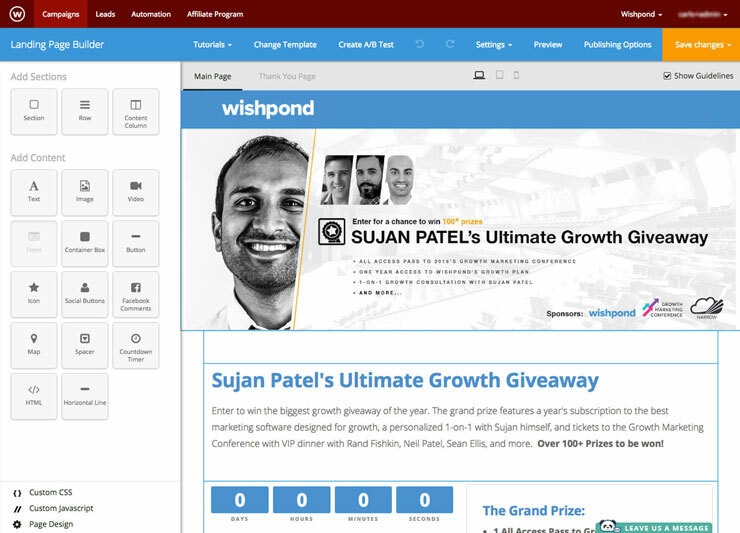 With tons of gorgeous templates, an intuitive drag-and-drop editor, and built-in A/B testing, Wishpond’s landing page editor is the perfect platform to generate, nurture and convert leads. With a drag-and-drop editor and over 100 templates, Instapage is a solid choice for marketers looking for a landing page builder. 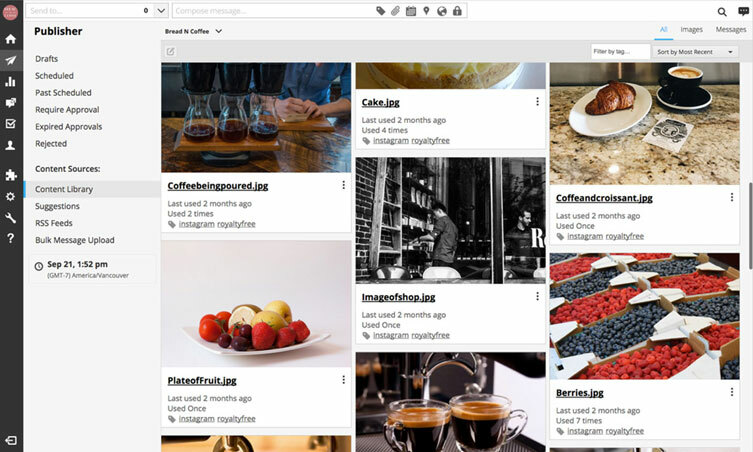 Notable features include Bigstock integration, which provides users with access to over 31 million stock photos, and page version history, which allows users to “go back in time” to previous landing page revisions. Instapage also includes an extensive suite of agency features, like Branded Lead Notifications to include agency logos on client notifications. 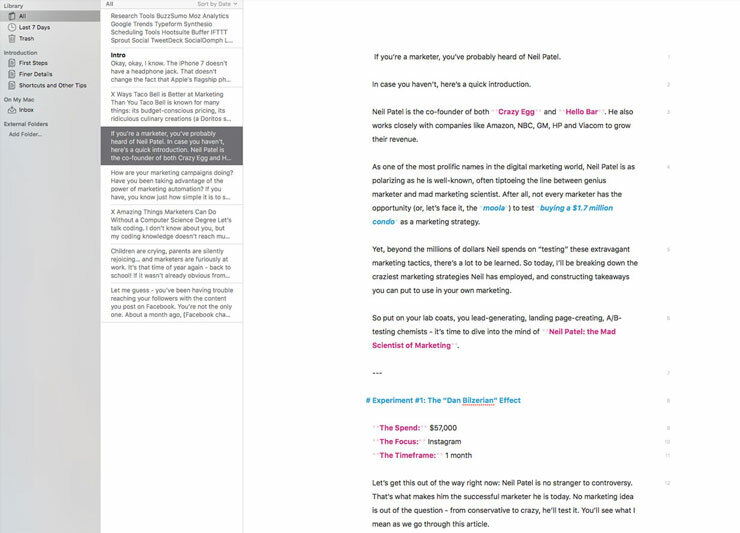 Beyond the standard fare, Unbounce’s unique features include triggered lightboxes for extra copy, media, or forms, and support for full-background autoplay videos. Unbounce is also a great option for agencies, as it also allows users to manage multiple clients and set user permissions. 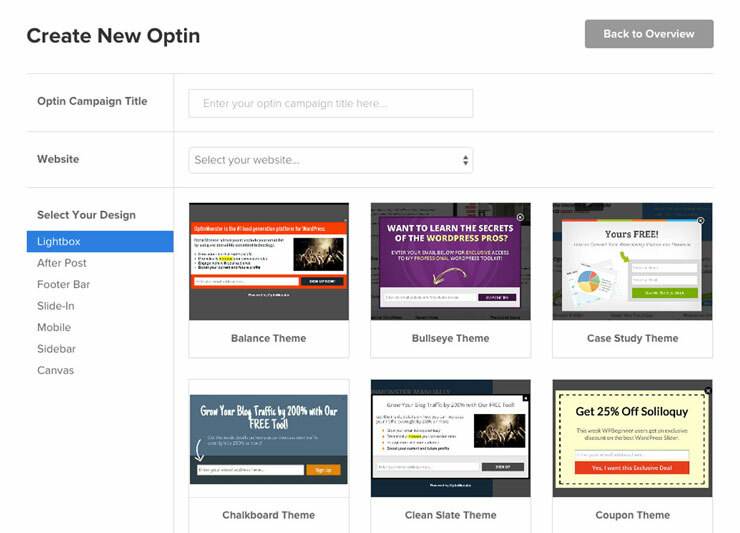 OptinMonster is actually a full lead generation tool, offering forms, exit popups, and floating bars, among other options - all of which can be A/B tested. 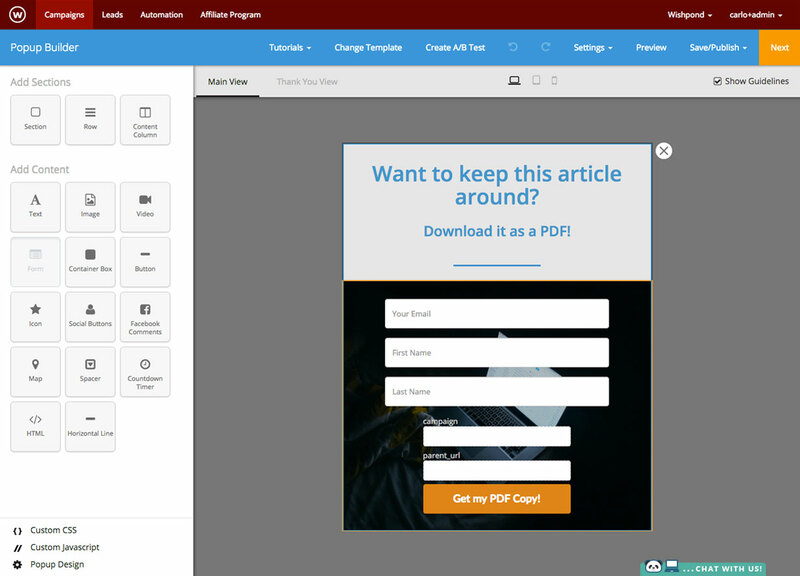 It also features mobile-specific popups, scroll boxes, and sidebar forms - it’s a full suite of lead generation tools that are sure to maximize conversions. SumoMe is kind of a mix-and-match set of website traffic tools. 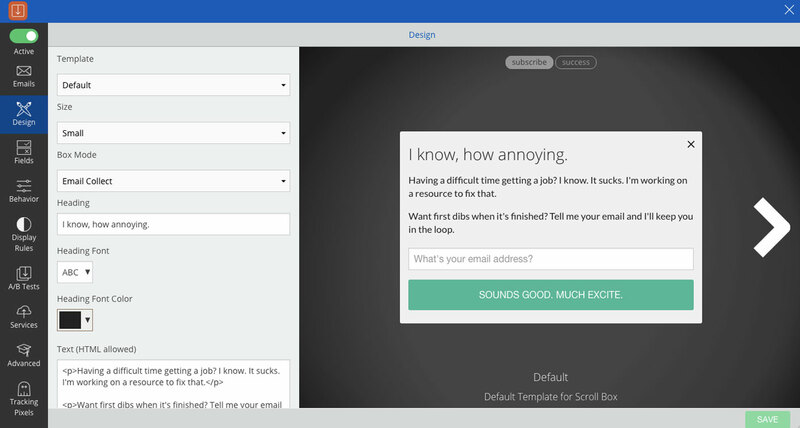 For lead generation, SumoMe offers a welcome mat, a scroll box, and a smart bar. Beyond that, however, SumoMe also offers “Buy Button” (basically a built-in e-commerce platform), and heat maps (to see where your visitor are clicking). All of these tools helps marketers drive traffic to their websites. Since its launch in 2008 in Wishpond’s hometown of Vancouver, Hootsuite has evolved from a simple Twitter dashboard to the go-to social media management platform. Hootsuite features support for multiple networks including Twitter, Facebook, Instagram, LinkedIn, and more. The platform has social media listening tools, analytics, collaboration options, and strong security features. 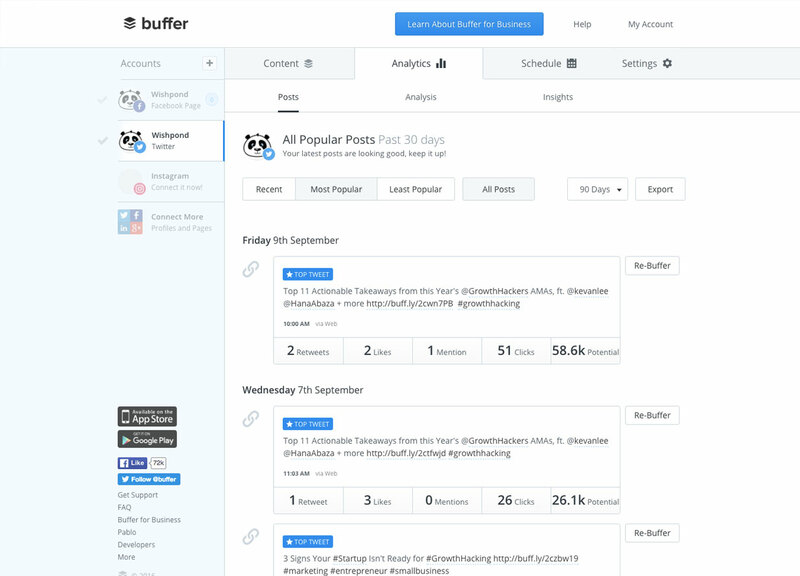 Our social media management tool of choice, Buffer is a lean, mean, social media machine. Beyond the platform’s standard scheduling features, Buffer uses data to optimize posting times and tracks post information like clicks, shares, and reach. Buffer’s value lies in its simplicity and the valuable insights it can provide to a marketing team. Sprout Social is a social media management platform with solutions for organizations ranging from small businesses to enterprises. 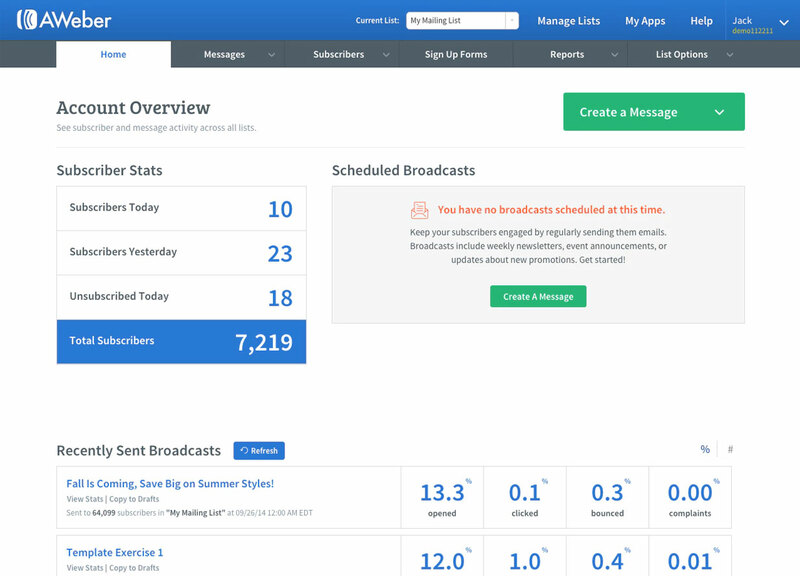 Features include a “single-stream inbox” that consolidates messages from multiple channels, extensive social media insights including team responsiveness and engagement, and a simple scheduler with an awesome calendar view. 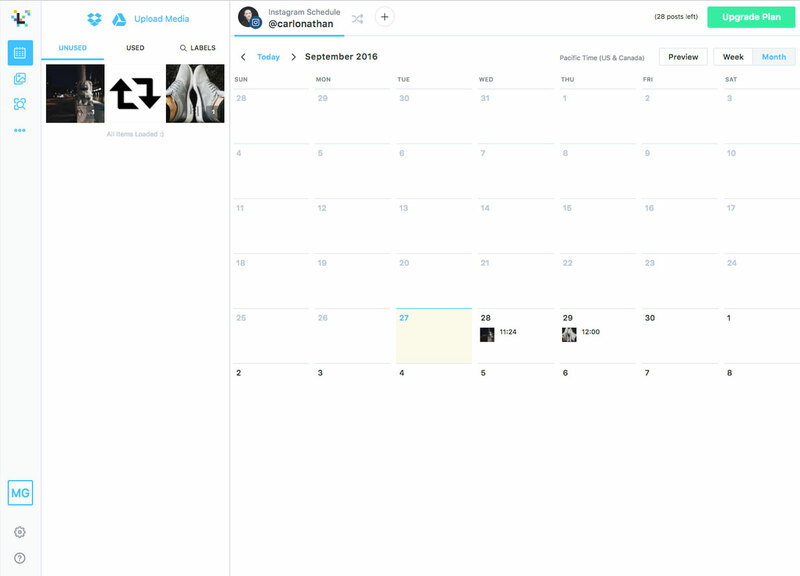 Now owned by Twitter, TweetDeck is a simple Twitter manager with web, Chrome, and desktop apps. The app itself is based around different columns that include content like your Twitter timeline, mentions, DMs, lists, trends, hashtags, and more. 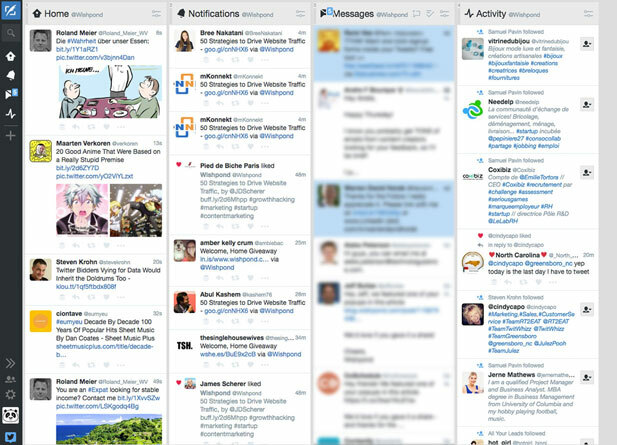 TweetDeck is a good option if you’re looking for a lightweight but fully-functional Twitter dashboard. Formerly Latergramme, Later is a scheduling app for avid Instagrammers. 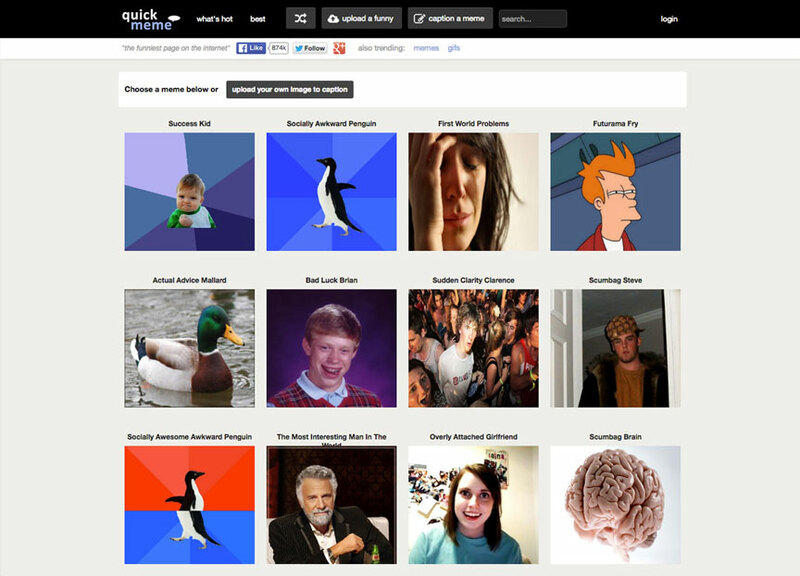 Used by brands like GQ and Yelp, Later is simple way to “manage your visual content campaigns”. Later makes it simple for you to upload photos and prepare captions in advance on its calendar view - all you need to do is hit “post”. One of the leading email marketing clients, Aweber features a drag-and-drop automation editors, stylish mobile-responsive sign up forms, RSS to email, and over 700 HTML email templates. Aweber also has a mobile application with a clean interface and an informative dashboard. With more than 12 million users, MailChimp is a prime choice for businesses looking to connect with customers through email, with a focus on e-commerce. Mailchimp features a drag-and-drop email editor, e-commerce integration (to automate product follow-ups, back in stock notices, etc. ), powerful analytics, and a mobile app. In addition to marketing automation, GetResponse features responsive email design so your email communications look clean and consistent across devices. The tool actually also features a form and landing page builder, as well as a webinar tool. Beyond automated emails, customizable templates, and extensive contact management, Constant Contact is an email marketing tool with live tracking tools for both email and social posts, as well as the ability to interact with live events, trackable coupons, online surveys, and more. It’s a platform focused on customer interaction, and a great choice if you’re looking to push email to its limits. Last one, I promise. 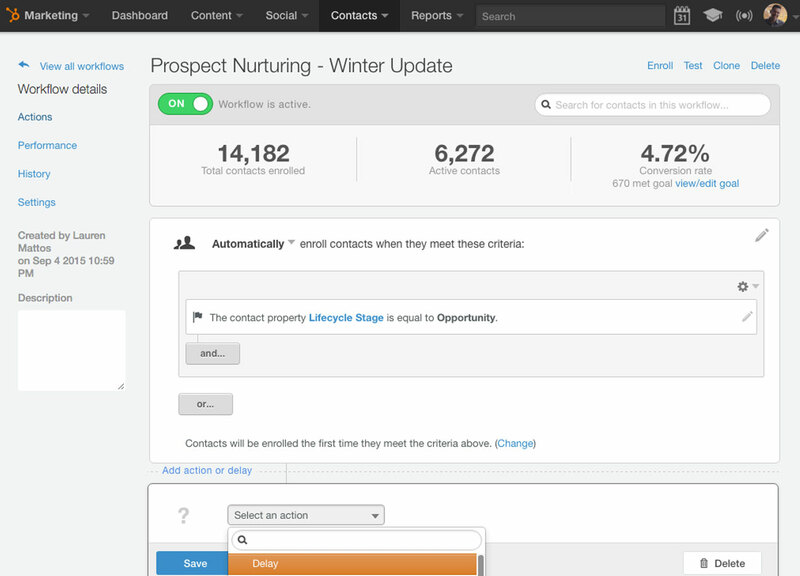 Wishpond’s marketing automation platform is the easiest way to nurture your leads based on their activity. 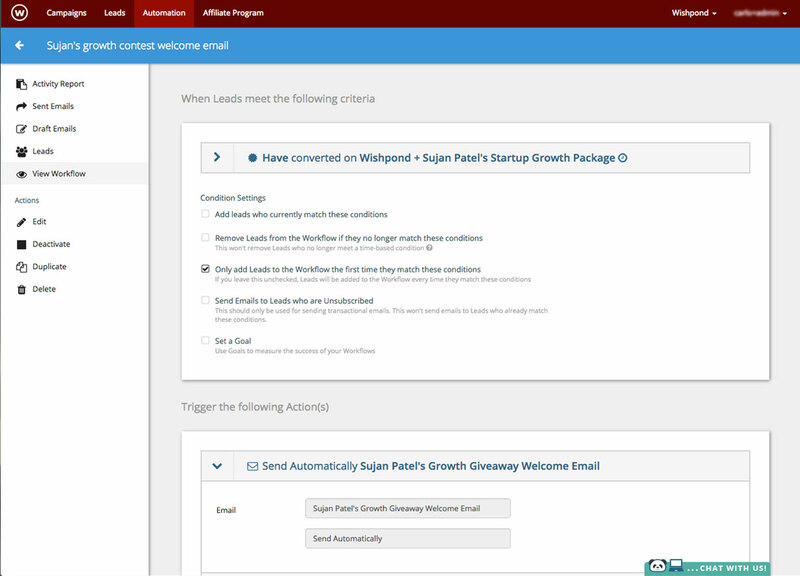 Whether you’re sending leads through an email drip campaign or to one of Wishpond’s many integrations with tools like Salesforce, SurveyMonkey, or Pipedrive, Wishpond makes marketing automation simple. 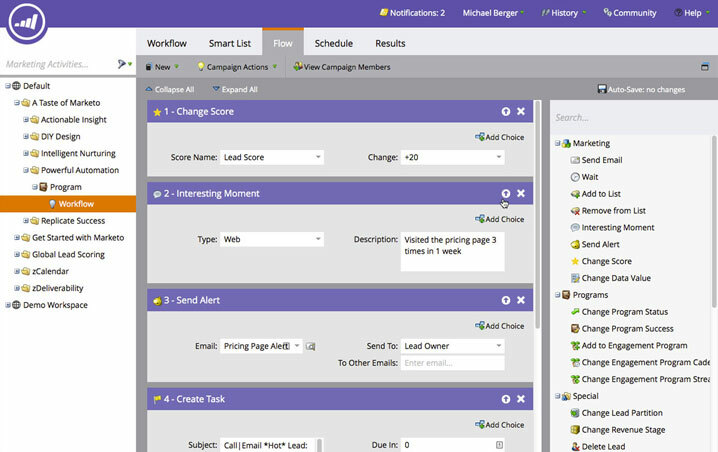 Marketo is a modular marketing automation solution, with a variety of solutions depending on your needs. With bundles for lead management, consumer marketing, mobile marketing, and more, Marketo features tools like a landing page builder, revenue analytics, mobile push notifications, and customer targeting based on location. 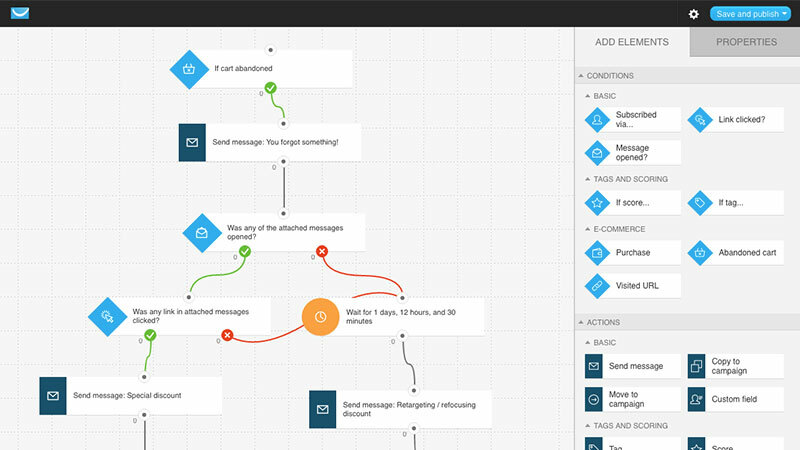 Though it offers all of the standard email marketing fare, the highlight of Salesforce’s marketing automation solution Pardot is a visual map that provides an overview of all assets and touch points within your sales funnel. This helps marketers “find and fix gaps” in marketing campaigns before they even launch. It’d be disingenuous for me to leave out HubSpot, the pioneers of inbound marketing. I’d say HubSpot is a good all-in-one solution for large businesses - their relatively high costs make it hard to justify for SMEs. However, the platform is fully-featured: blogging, SEO, social, email… the list goes on, and HubSpot remains one of marketing automation’s big players. IFTTT stands for “if this, then that” - which tells you exactly what you need to know about the service. 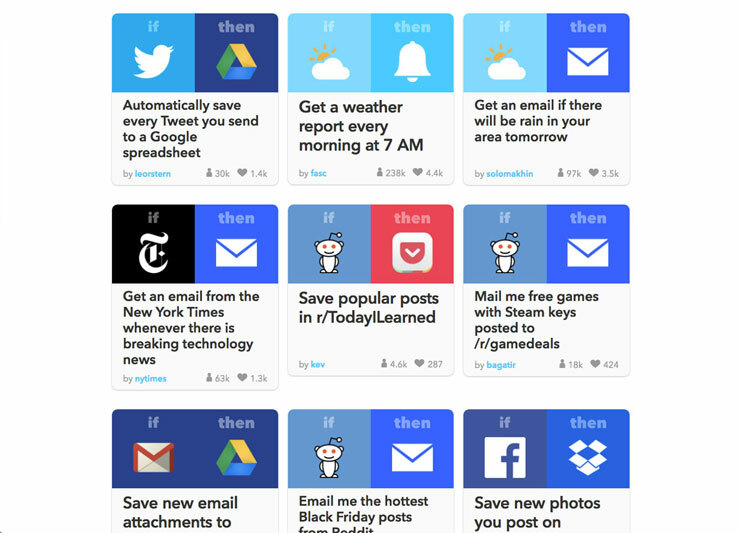 IFTTT integrates with a plethora of apps, connecting them to produce “recipes”. For example, you can get IFTTT to save all of your Tweets to a Google Drive spreadsheet, or get it to send you an email if the forecast calls for rain the next day. There’s not enough space here to explain just how useful IFTTT can be - go check it out for yourself. Similar to IFTTT, Zapier links up apps to create integrations that wouldn’t otherwise be possible. 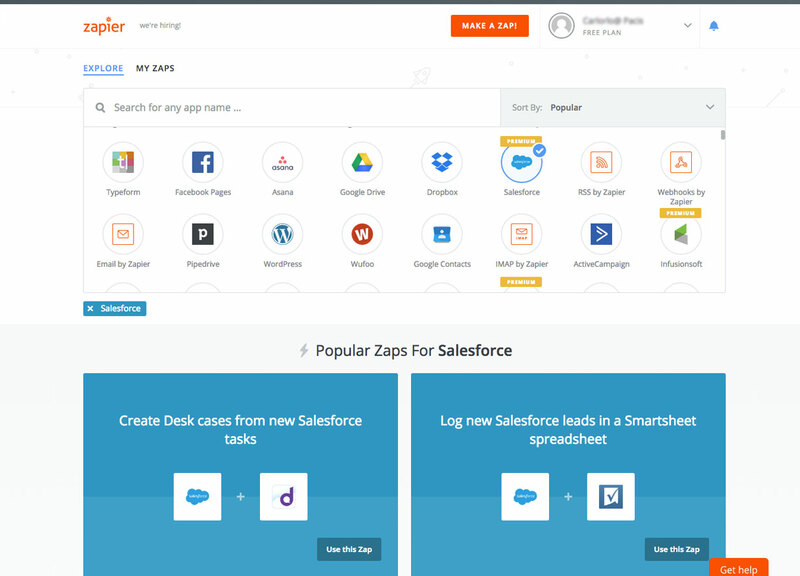 For example, you can create a “zap” that copies Salesforce Cases into Trello, or get Slack notifications for Instagram posts with a specific hashtag. Zapier makes it possible for your favourite apps to work together. Content Marketer is actually a set of three tools (Connector, Notifier, and Marketer) to help automate and simplify your outreach strategy. 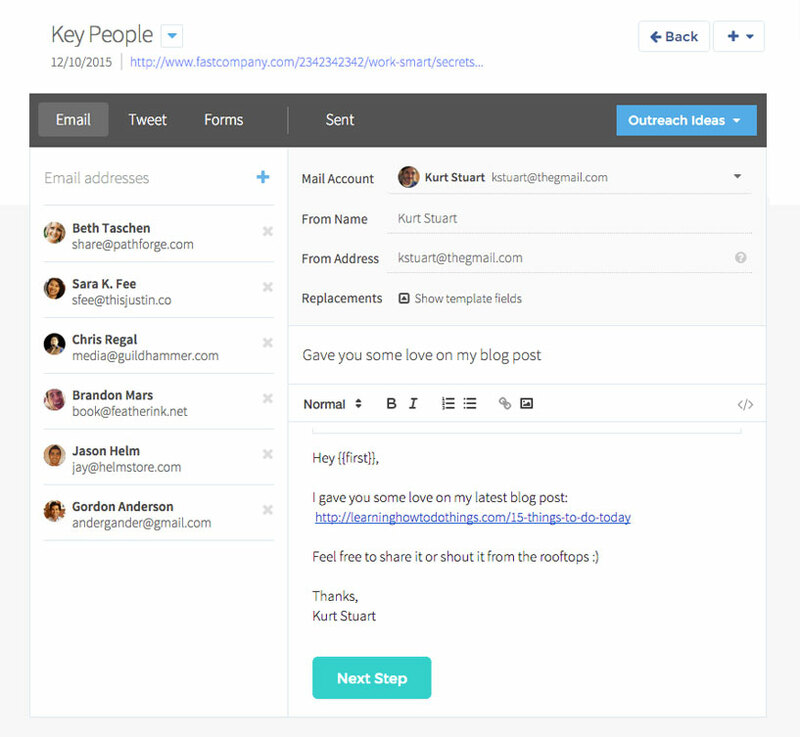 Connector lets you import recipients to use with one of its many outreach email templates, while Notifier scans your blog posts for mentions to automate social media outreach. Finally, Marketer helps you find contact information for influencers. Narrow is a Twitter automation platform that interacts with Twitter users who are discussing the subjects you’re focused on targeting. For example, an athletic wear company based in Vancouver might monitor the hashtags #sports or #soccer from users in BC. 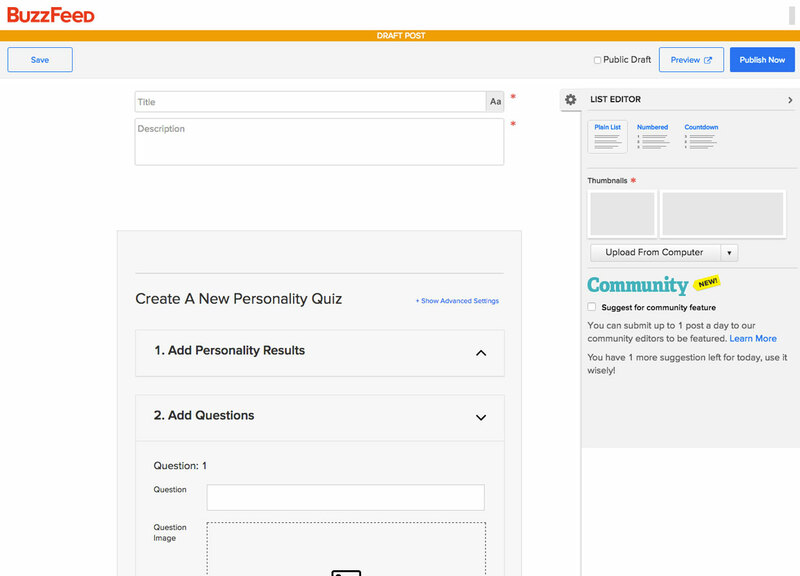 Use Narrow’s research tool to build an audience of users within your target market. What’s your Klout Score? 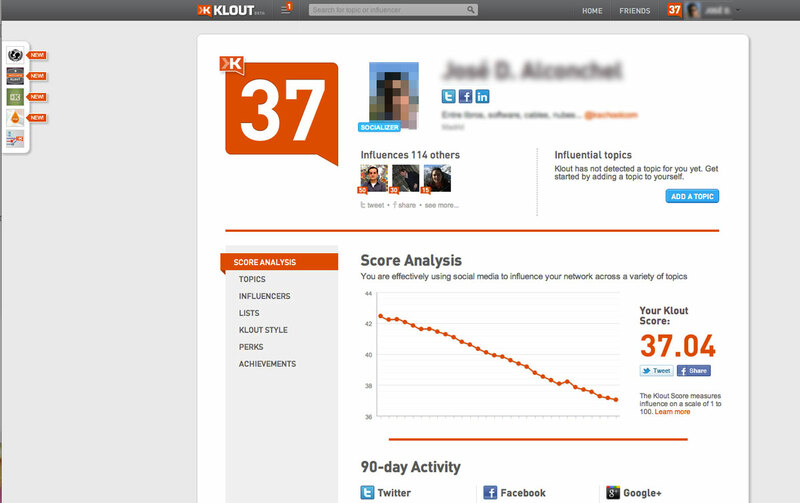 Klout is an app that uses analytics from your social media profiles to rate your social media influence from 1-100. Klout also suggests content you might want to share with your audience, and helps you create content that resonates with your friends, fans, and followers. If you’re not currently using BuzzSumo for your outreach, you need to be. 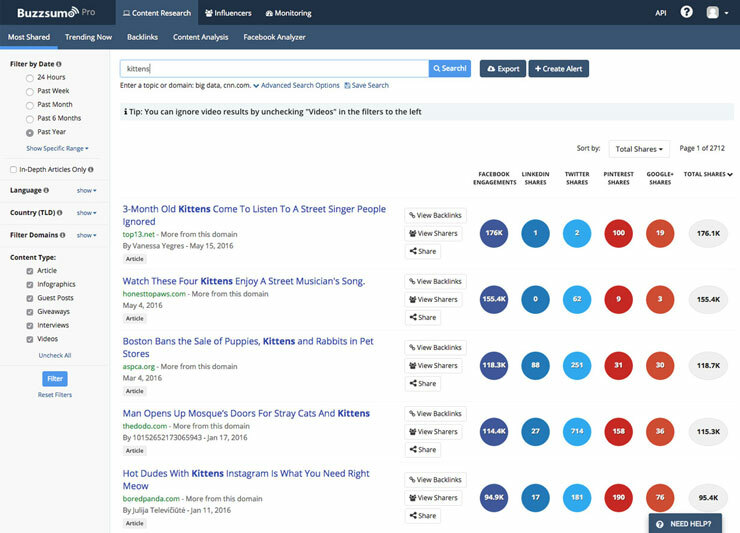 BuzzSumo helps you find trending content within the subjects you’re interested in, and then identify the influencers who are sharing that content. With BuzzSumo, you can find influencers who are likely to be interested in the content you’re looking to share. Email Hunter is a straightforward tool. We know how valuable sending an email directly to an influencer can be when you’re on your outreach grind. 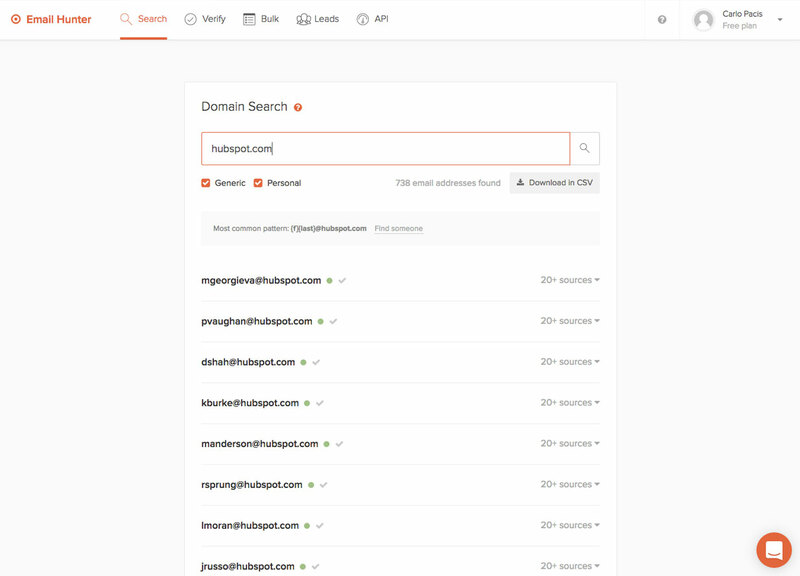 Email Hunter uses the domain name connected to an influencer to find all instances of emails from that domain, helping you get email info that may be tough find otherwise. Do I really need to explain myself here? 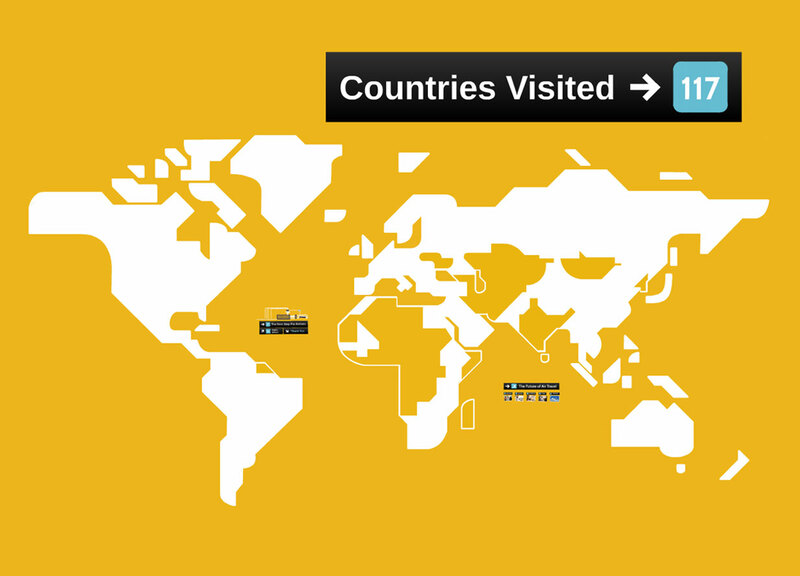 Google Analytics is THE analytics platform… and it doesn’t hurt that it’s free. With an easy-to-navigate dashboard, Google Analytics allows you to dig deep into user behaviour and demographics so you can better target your audience and optimize your pages. I shouldn’t need to convince you to use GA. Just do it. 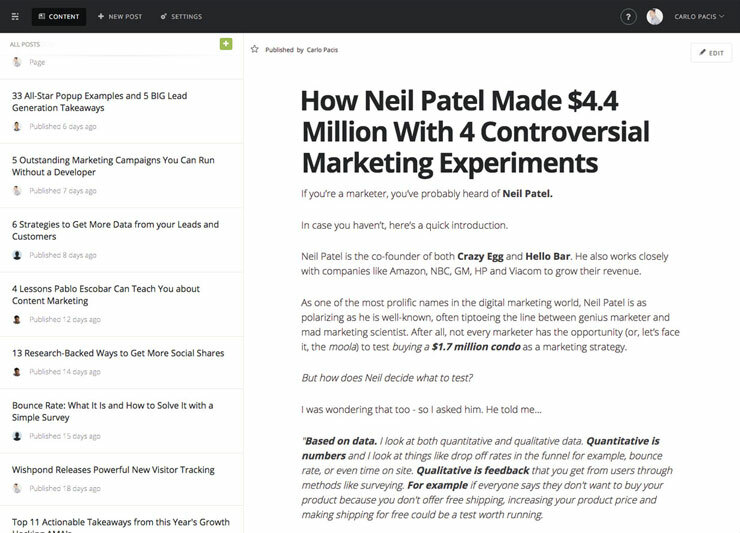 One of Neil Patel’s (now numerous) children, Kissmetrics is a customer analytics platform that shows users how visitors interact with their sites and apps. Kissmetrics helps you analyze and optimize your customer acquisition, retention, and growth processes with the goal of dramatically increasing your conversion rates. 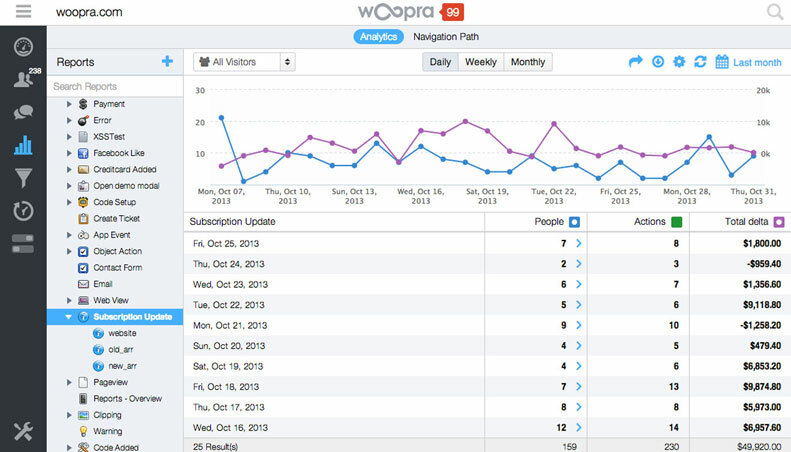 Woopra is a customer data platform that helps you better understand your users. It fleshes out customer profiles using analytics from multiple channels, including your website and other touch points like your mobile app, email, help desk, and live chat - all in real-time. 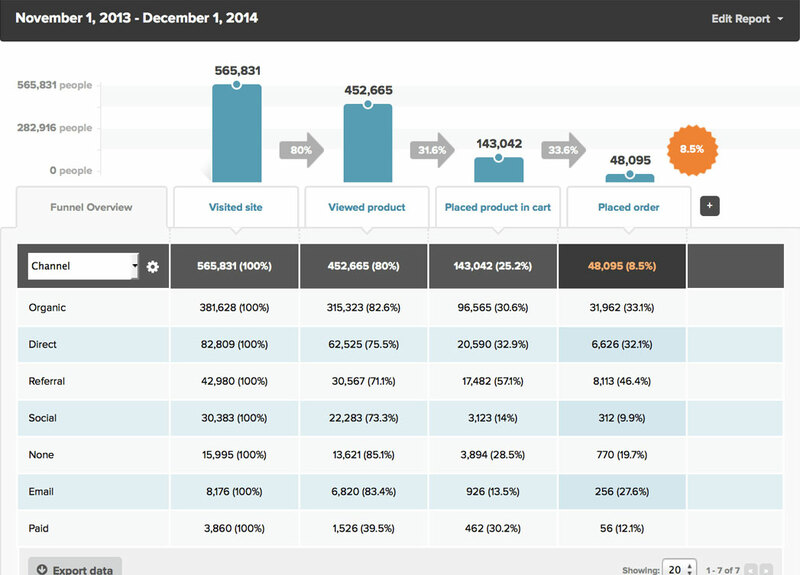 Using this data, you can build segments based on their behaviour, to help you better target potential customers. 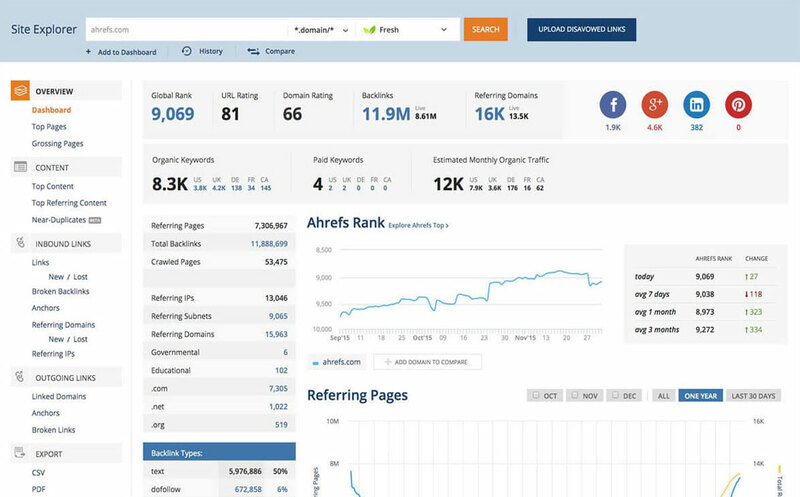 Ahrefs is a suite of tools that help you analyze your pages - and your competitors’. Its Site Explorer tool displays and analyzes all of the pages that link to your website or URL, while the Positions Explorer reveal keywords competitors are ranking for in search engines, and their ad spend on these keywords. It’s an infinitely valuable tool if you’re looking to improve your domain authority and your search rankings - and who isn’t?